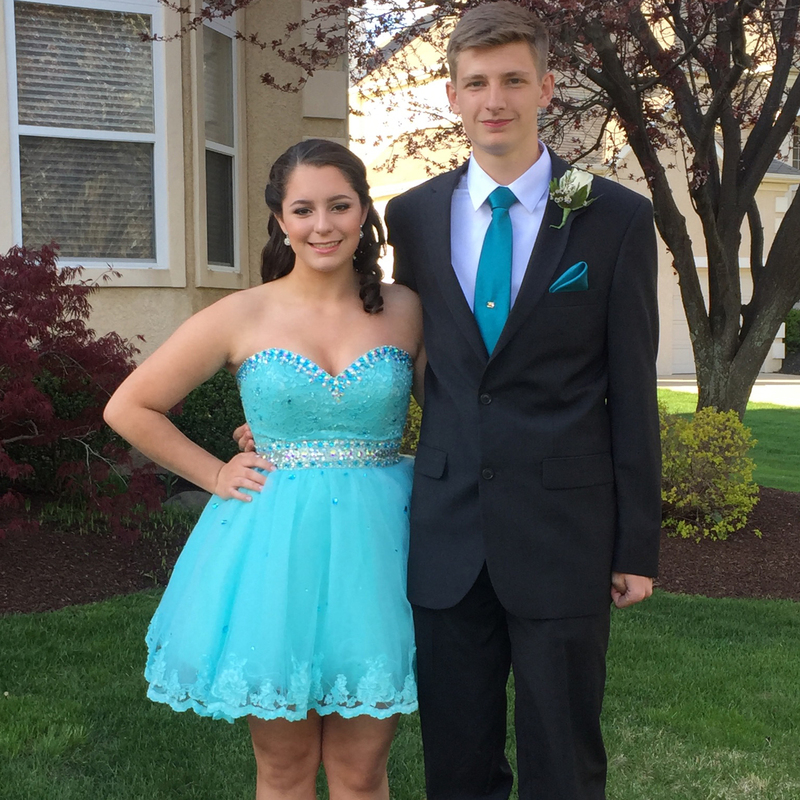 Just wanted you to know that we received loads of compliments on my daughter Alyssa’s dress for her Sweet 16! Just wanted to share. My daughter fell in love with this dress in a store here in Florida but when we went back to purchase it, there were no more in stock. I then went online and found Rissy Roo’s. I ordered it and the whole process was smooth. I was informed when It was shipping and when it would arrive. The best part was that it fit her beautiful! Unable to find my size in the dress I wanted, I searched the internet to try to find it. I stumbled across Rissy Roo’s and ordered my size, hoping a New Jersey boutique would be able to help a Connecticut gal. And it definitely did ! It came in in only FOUR days and it’s exactly what I wanted. Highly recommend Rissy Roo’s, even if you’re not in New Jersey ! 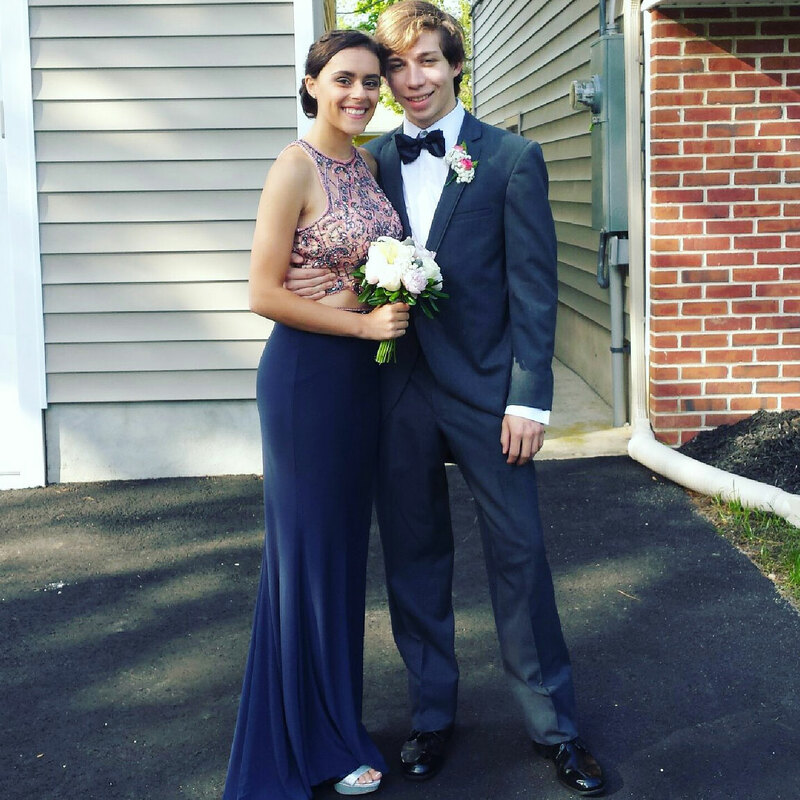 We purchased my daughter's prom dress and couldn't be happier with our experience!!! Would highly recommend Rissy Roo's to anyone who needs a dress for any occasion! This dress was absolutely beautiful and my daughter loved it so much. I live in Sydney Australia so I was worried about the sizing but when I called they were fantastic! The dress was perfect and the sizing was perfect. Thanks Rissy Roos for everything! The dress arrived 5 days earlier than expected and it was perfect! The dress was beautiful and my daughter was thrilled! Will definitely purchase from Rissy Roo's again. Amanda: Thanks for all the suggestions, I appreciated it. I did in fact order the JVN24413 in the size 16. I received it yesterday, and I took it into my mother this morning. She was "totally" surprised and she wanted me to email you to tell you, "this gown is the most beautiful gown she has ever had"! I too want to thank you, not only is this gown beautiful, it fit my mother perfectly! The only alteration I think will have to be made is shortening it. I guarantee you I will shop at Rissy Roo's for all our gowns, and I will highly recommend my friends and family shop here as well! Thanks so very much for all your help! 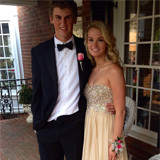 My daughter just went to her boyfriends senior prom and I purchased her dress at Rissy Roo's. What a great decision! Lynn was awesome to work with and her experience was invaluable. The entire process was pleasant and stress free! Thank you so much!! After a couple of months of research, my daughter finally found her dream dress. We found the service at Rissy Roo's to be far superior to any other place we explored which had the dress my daughter wanted. We called the store directly and the gentleman who helped us was wonderful. We were uncertain of the sizing even with the chart and he provided advice based on the cut of the dress. 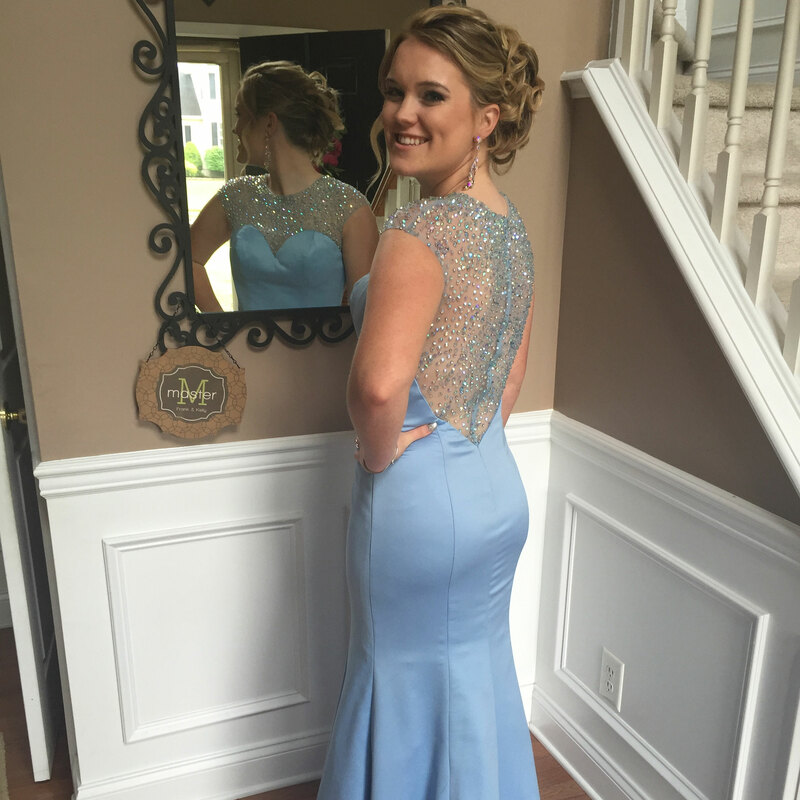 My daughter's Sherri Hill dream dress fit perfectly with no alterations needed! We will definitely be returning to Rissy Roo's in the future! Thank you so much for an amazing dress Rissy Roo's! 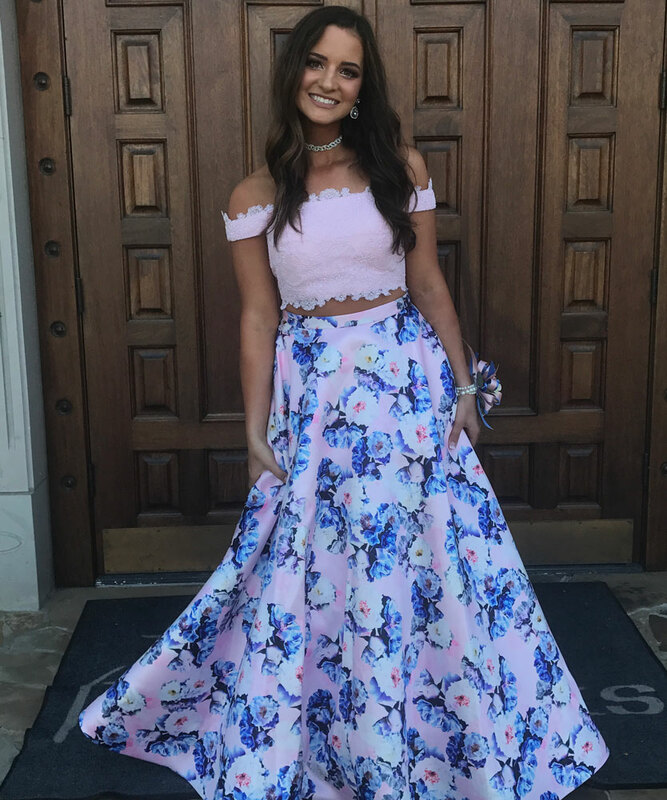 My daughter loved her prom dress! She found the dress online, but we couldn't find it in any of the stores around us. We got a great price and great service from Rissy Roo. The dress was high quality and she looked beautiful in it. I brought my sister in to look for a prom gown, she was a little nervous and over wheelmen at first. The woman that helped us, Lyn, was very nice and super sweet towards my sister. She made my sister feel comfortable, she had us laughing and smiling the entire time, Lyn was absolutely fantastic! I'm so glad my sister's experience in prom dress shopping was super fun. Thank you Lyn and the rest of the Rissy Roo's staff, you guys are fantastic! The BEST customer service! 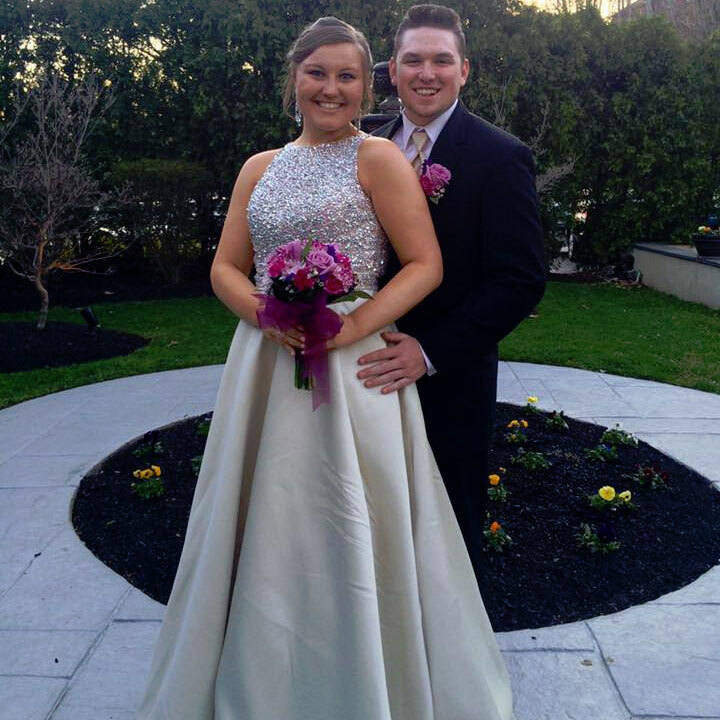 We live in NY and we had been searching for an Alyce dress for my daughter's bat mitzvah that we saw online. No stores near us had it. Happened to find Rissy Roo's on a google search. Marissa, in online customer service is a gem. She helped me figure out what size to order for my daughter, and then when we didn't like the way it fit her, she spoke to the manufacturer and came up with a bunch of different options for us. We ended up getting a bigger size, and it is perfect. 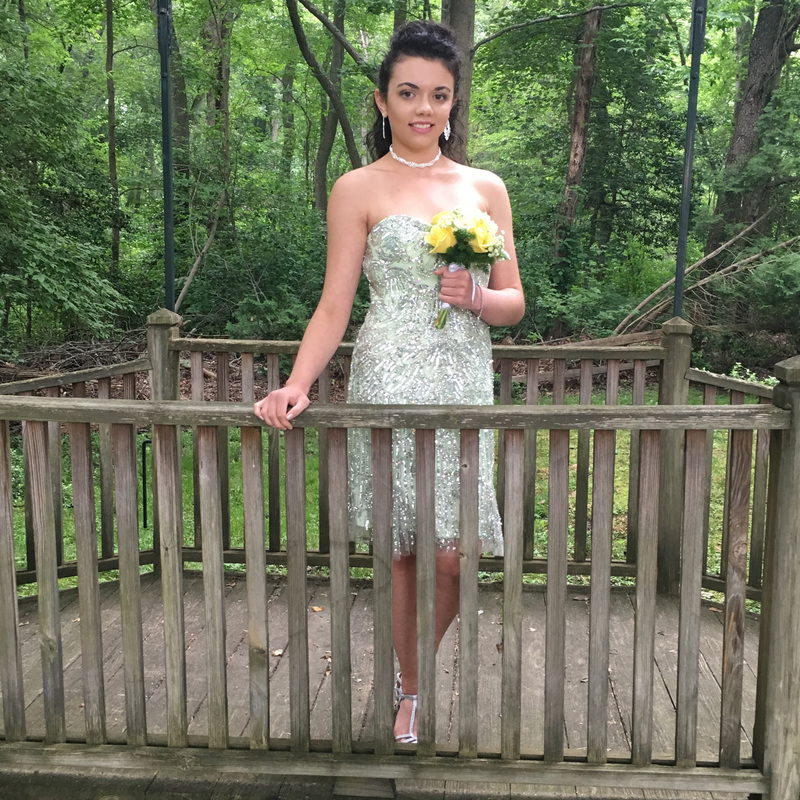 Buying a special occasion dress without trying it on, or knowing where you are getting it from can be scary, but with Rissy Roo's the experience was lovely. Highly highly recommend! Fate was with me when I found this dress! I wanted something Classy and simple for my prom and I found the perfect dress. Rissy Roo's was so helpful during my dress hunting experience! When I ordered it, it arrived faster than expected which was amazing! My dress fit perfectly and the quality of it was lovely. I also got a great discounted deal on it which I loved even more. I will definitely be coming back to Rissy Roo's in the near future for other special formal events that I have. 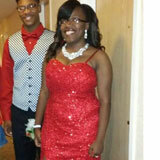 My daughter Taylor is going to her boyfriends senior prom and we started our search for her dress. My cousin suggested RissyRoo's. So my daughter and I picked up my cousin and headed there. What a great decision this turned out to be. We were greeted warmly and were immediately placed with Lynn, a fashion consultant. Lynn's knowledge and experience were priceless. She began to question Taylor to determine her style preferences and then suggested other styles to broaden her horizons. The entire process was professional, caring, relaxing (if you can believe it), and alot of fun!! The dress that my daughter decided on is just gorgeous. Lynn is such an asset to this business! 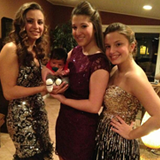 Since Taylor is only a freshman I know that we will be coming back for numerous other special occasion dresses. A positive experience from start to finish!!!! 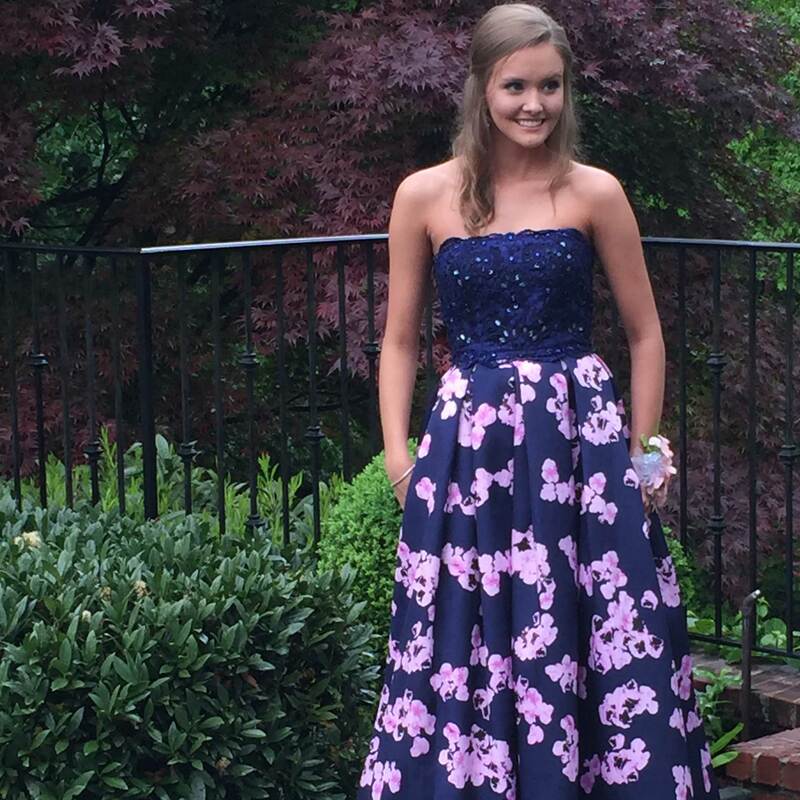 My daughter fell in love with this Sherri Hill dress but her size was sold out everywhere. 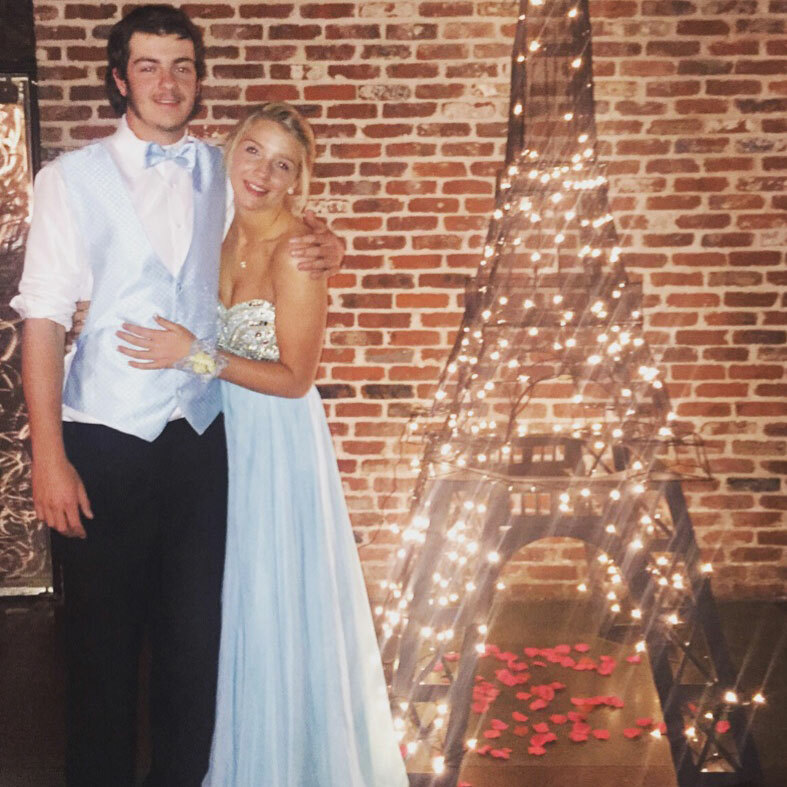 After trying five other places, Rissy Roo's had two dresses in her size on order and was able to ship in time for prom. Great customer service, delivery was about a week earlier than quoted, and everything was in perfect condition. A great experience. This dress was sold out everywhere and on a whim i called Rissy Roos and they said they could get it in time for prom for me! It shipped way ahead of expected and i just received the dress and am in love! So glad i ordered from here. Great customer service. Great experience. I am in Arizona and will buy from Rissy Roos again! Thanks Marissa! I bought this dress for my New Year's Party and everyone was in love with it! It's scary buying online, but never from Rissy Roo's! I did order a 0, and I had to have it let out lol I'm usually spot on too. The length also had to be pulled up on the front so I wouldn't step on it. Love the train in the back! Any quality dress gives more length so it can be altered correctly so wasnt a big deal :) Customer service to get this dress to be by my wear date was perfect as well. I'm known for wearing fancy dresses, and Rissy Roo's is always my first stop! It's a show stopper! We loved our rissy roo for HOCO 2016. Beautiful dress and fit true to size. 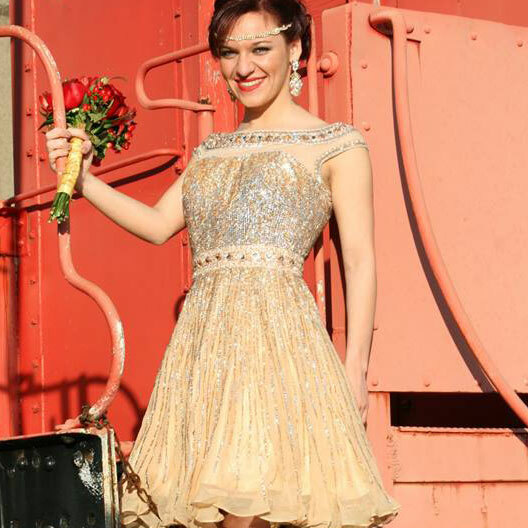 This Rissy Roo dress is a "must have" for anyone that loves exquisite beading and a vintage look. It is a beautiful blush color with all over silver beading. It is definitely my favorite dress that I have ever ordered from Rissy Roo's. Thank you Rissy Roo's for making my event extra special with this dress!! I always order my dresses from Rissy Roo's. The elegant burlesque styling of this dress made it perfect for the New Orleans wedding that I attended. It was very comfortable to wear and Rissy Roo's made sure that it arrived in time for my event. Beautiful dress, exquisite beading, excellent customer service, fast delivery, another Rissy Roo success!! I'm so glad I went to Rissy Roos to purchase a gown for my sons wedding. Morgan was so helpful (and honest) which I appreciated so much. There is nothing worse than a sales person telling you what you want to hear and then you get dressed for that special event, look in the mirror and think to yourself, "what the heck"! Now it's too late, you feel terrible and you've just wasted a lot of money. Morgan took the time to help me find the right dress so a "wardrobe disaster" is not happening on my special event! Thanks Morgan! I found the dress of my dreams on the internet, but little did I know it would be sold out almost everywhere. My mom found it at Rissy Roo's. They had one. It was in a size smaller than I usually wear but we had read somewhere that it ran a little big. I live in Fort Lee, NJ and Rissy Roo's is about 2 hours away. We decided to treat this as an adventure, leaving right after school on a Thursday. From the moment my mom picked me up, everything went right. No traffic, pleasant drive, and we didn't get lost despite the fact that my mom never uses a GPS. We walked into Rissy Roo's and it was such a cheerful store, decorated with hot pink and zebra print, and well stocked with gorgeous dresses. Because it was a Thursday evening, it wasn't packed. A very friendly sales woman greeted us, got the dress and led me to a fitting room. The dress fit like a dream. It was as if it were meant for me. The sales woman showed me the perfect pair of earrings to match. There was no looking at any others. We were in and out of the store in about half an hour. The whole experience was smooth, stress-free and perfect. My mom and I were especially impressed with the relaxed atmosphere of Rissy Roo's. No pushy sales people. Just terrific sales people who know what they're doing and want you to be happy. 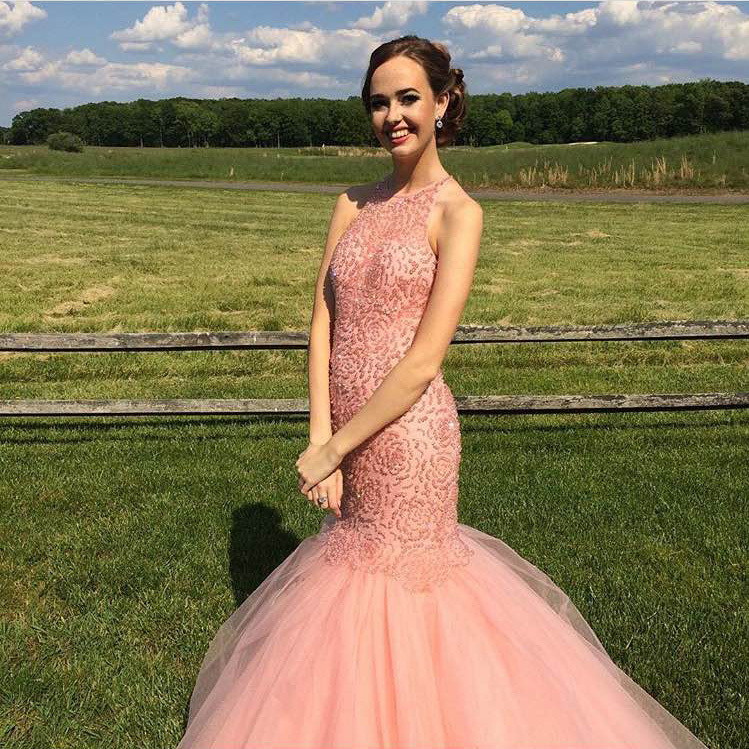 I couldn't have been happier on the day of my senior prom when I finally got to wear the gorgeous Blush gown. I felt like a princess, and my date couldn't keep his eyes off me. It was magical! 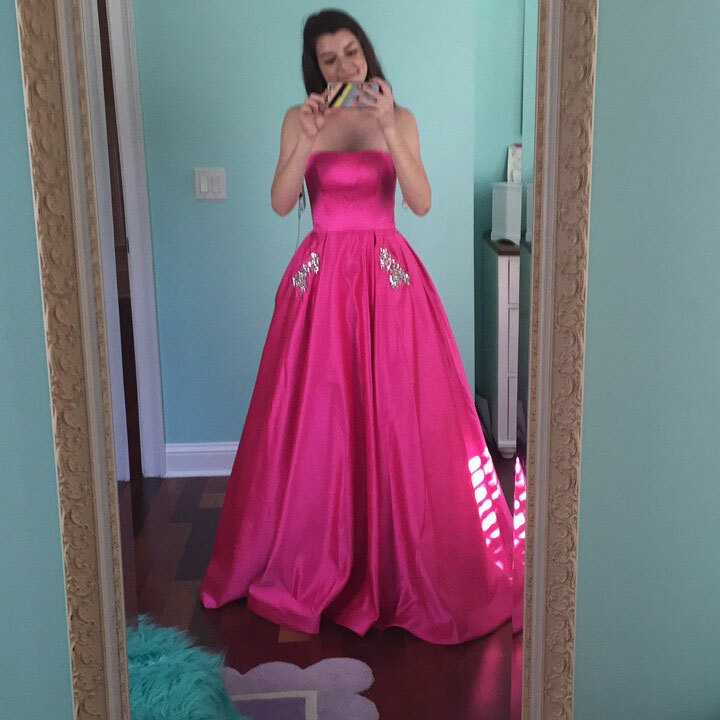 My experience purchasing my daughter's prom dress was great. I was concerned at first because the dress was out of stock but the rep I spoke to assured me we will have it before her special day. 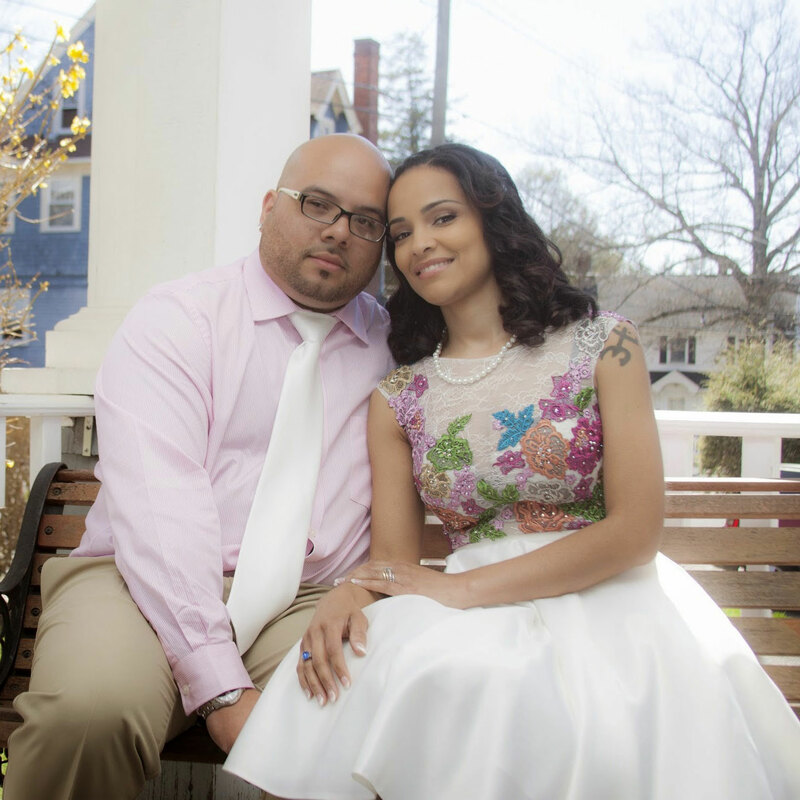 To our surprise the dress arrived 2 weeks before the initial date which gave us time to make small alterations. We were so happy, thank you very much! I can't thank Rissy Roo's enough for finding my perfect gown! I wanted SHERRI Hill and no one in my area carries it! 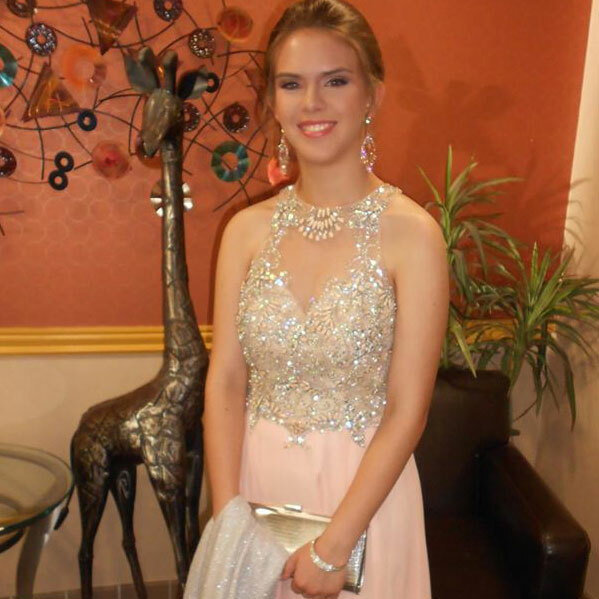 I wanted something totally different from everyone's strictly beaded gowns my school wears. My Mom found Rissy Roo's online and emailed the store. 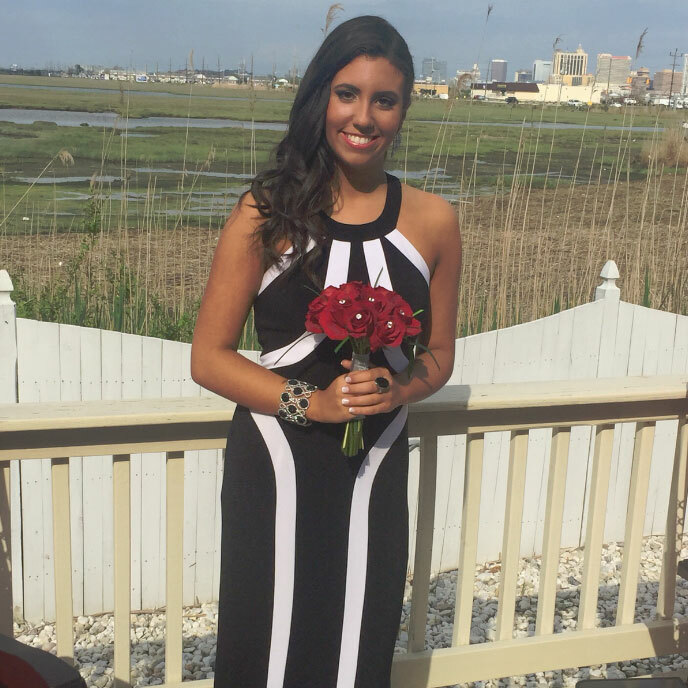 Marissa helped her with two dresses and emailed when the one I wanted became available. The ordering was easy, shipping was fast and the customer service is wonderful. I can't wait to shop for next years prom! Thank you Rissy Roo's for making my prom perfect! For the past two years I've gotten my prom dress from Rissy Roo's. Each time I go, the staff is always so sweet and polite, even when the store was crowded with people. They've always given me their full attention and make me feel like a princess each time I go. It's a little far from where I live, but definitely worth the trip each time. No other place gives me the same service and selection like Rissy Roo's. Princess in red❤️ After days and days looking everywhere for something special,never seen before..we finished in Rissy Roo's and tried many dresses there..this one was eye catchy and my niece tried it on..omg..even The owner said-'don't even look for anything else..this is the dress!!! '..She looked stunning in the dress!!! !We got a dress and she flew in Europe ...for her prom,a week ago,she impressed everybody-she looked like queen from red carpet!!!! Thank you for make this moment in our life unforgettable!! Rissy Roo's made shopping for my first prom dress such a breeze. From finding what style to what color, they made sure I left knowing that I had made the right choice. They even helped pick out my earrings! All night long everyone was complimenting on how amazing my dress looked and none of that would've been made possible with out them! It was such a positive experience, definitely coming back for future occasions. 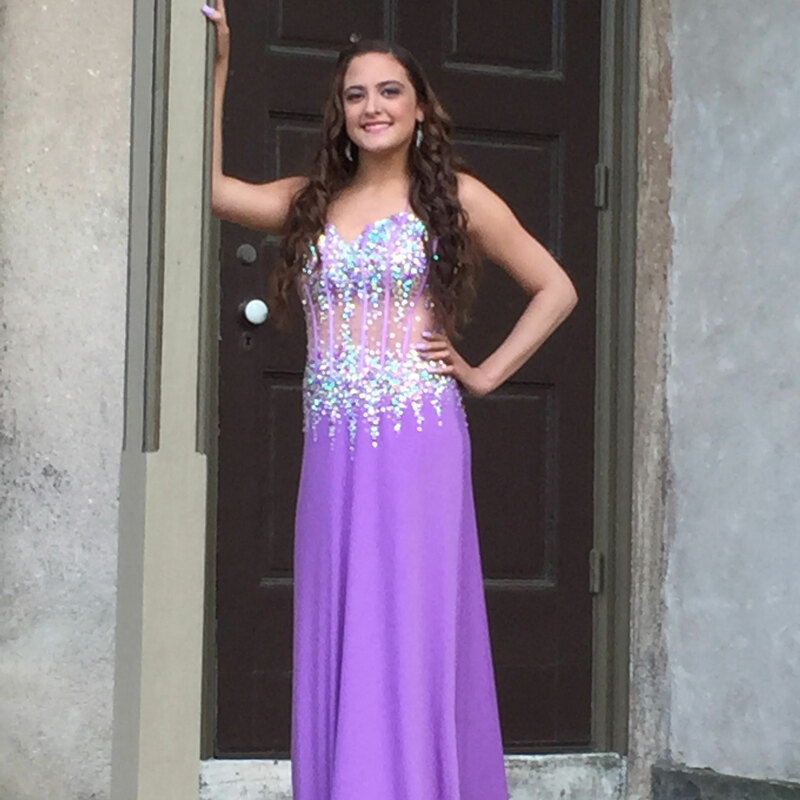 I just want to thank Rissy Roo's for making my daughter look and feel like a princess at prom. It was the first and last dress she tried on. She looked in the mirror and told me that there was no need to look any further. This was the dress. And it was. It was absolutely stunning. My only problem is... how do we top it next year! 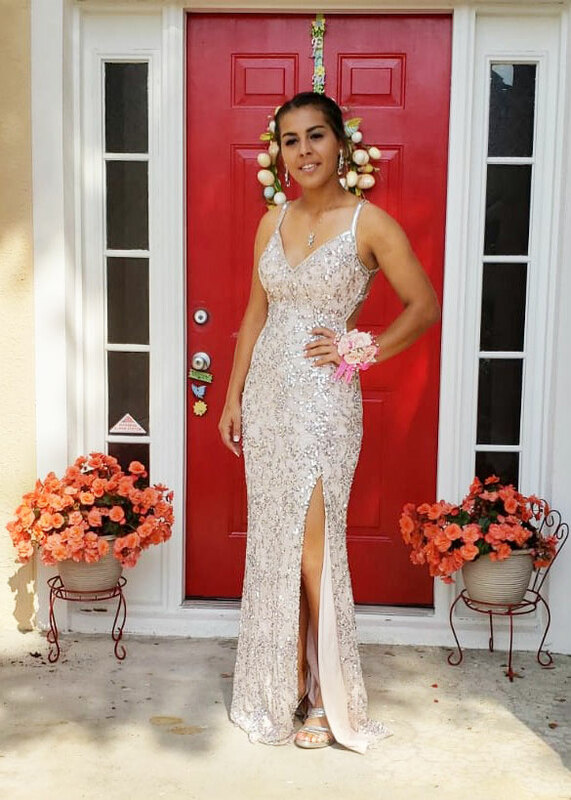 My daughter Bethany loved her homecoming dress and customer service so much she asked to go back to search for her prom dress and again she loved what she found and once again had great customer service. We traveled 90 min. but it was well worth it! Going into Rissy's for the first time to look for my prom dress, I was both nervous and excited. The staff made it the best experience while shopping for my dress. They were fun and excited for me. The minute I tried on this dress, I knew it was the one. This dress was perfect for me. I can't thank the staff of rissys Roos enough for making prom the best night of my life! I've been shopping at Rissy Roos for years. From my 8th grade dance, to senior prom, and all the pageants in between. I've never been disappointed, I always find my dream dress and everyone is so helpful with the process of finding that perfect dress. 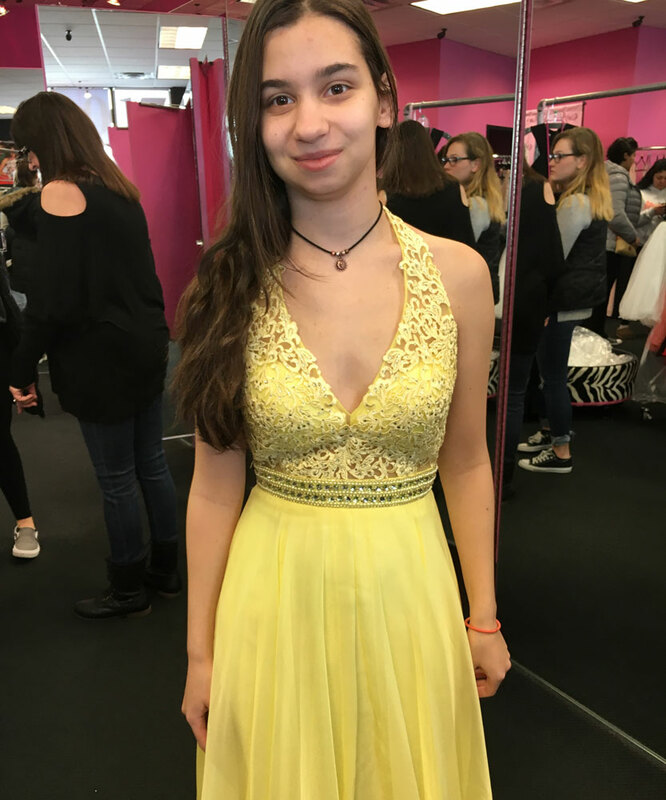 My daughter searched 3 states for two months and ended up finding the dress of her dreams at Rissy Roo's! We knew as soon as we saw it that it was the one! Everyone was so helpful at your store and made the decision very easy. She looked like a princess. 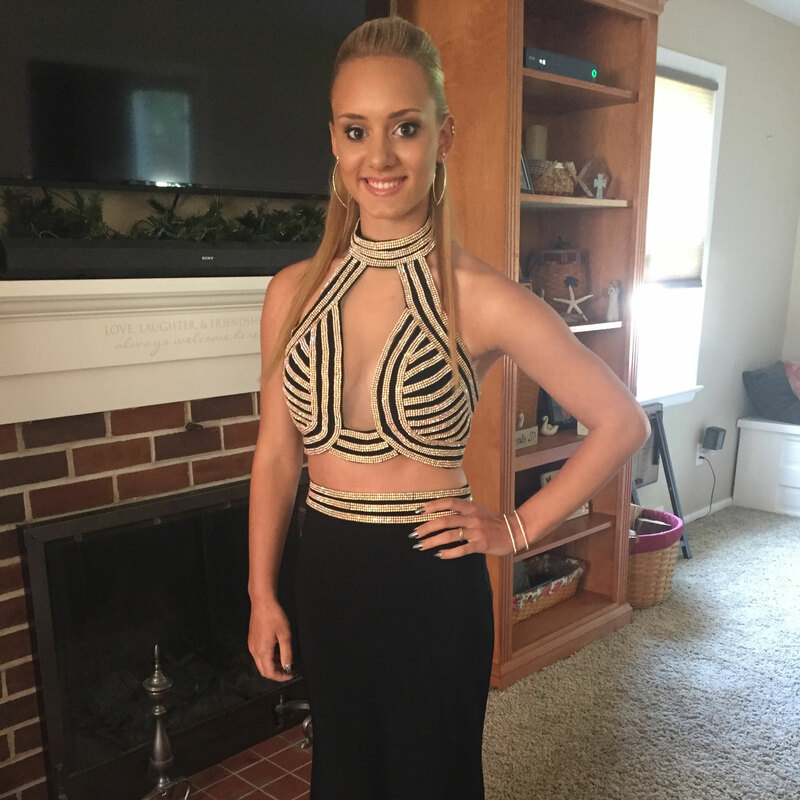 It's going to be hard to top that for her senior prom next year, but we're not searching again. We'll be heading right to Rissy Roo's! This is my second year buying a dress from Rissy Roos and I loved it! The girls are all so helpful and make sure you find exactly what you need and they made my prom experience absolutely amazing. 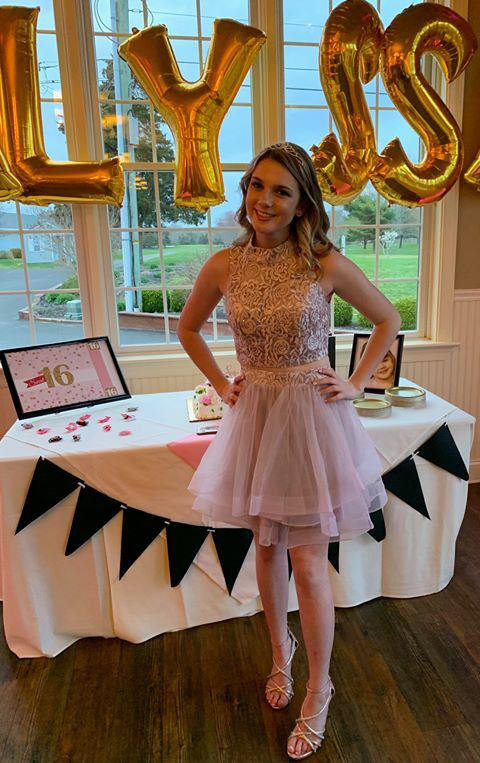 For every special event I have needed to attend that required a formal dress I have purchased it from Rissy Roos... From Semi, to homecoming, to pageants and of course to Prom! I would love to even be considered to be the 2016 Rissy Roo prom queen. Rissy Roo's delivered my prom dress promptly, and I was beyond satisfied. In all honesty, Rissy Roo's was my lifesaver because I was unsure if I was attending prom until very close to the event itself. At the last minute, I decided to go, scouring the Internet for a site that ships quickly. 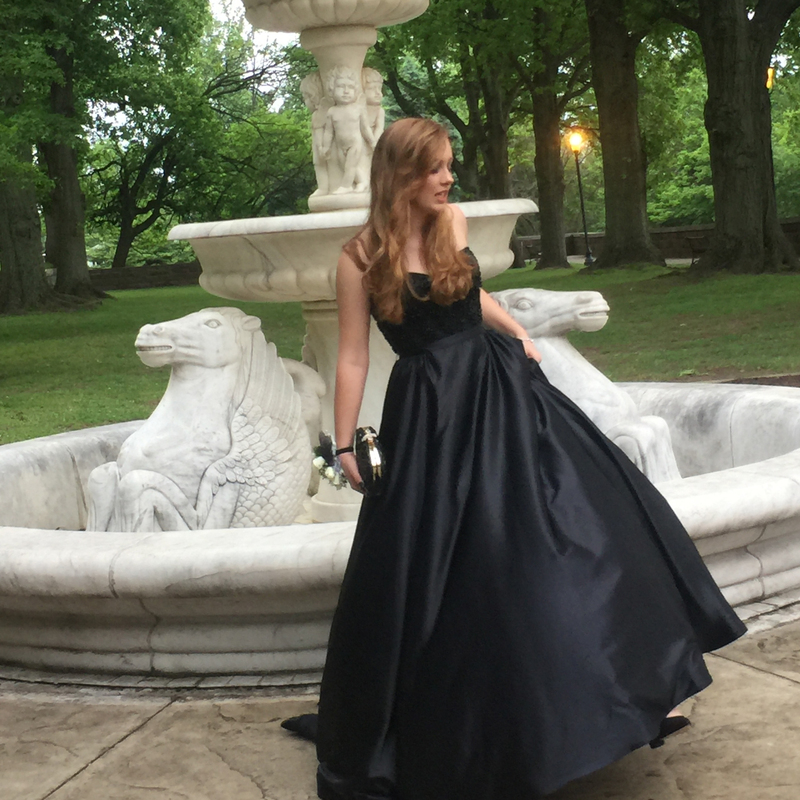 I received my dress the night before prom, and needless to say, received a lot of compliments the next day! (: The color was splendid... the detailing was fabulous and intricate. Thank you for your great service, Rissy Roo's! Originally I ordered a different dress but told my mom the wrong color and when it came in I was devastated. When my mom called to order the right color they did not have it available in my size. So with only a week to go, I picked out a totally different dress and nervously waited for it to arrive. I absolutely loved it, it fit great and was very well made. Everyone loved my dress and I felt like a princess. 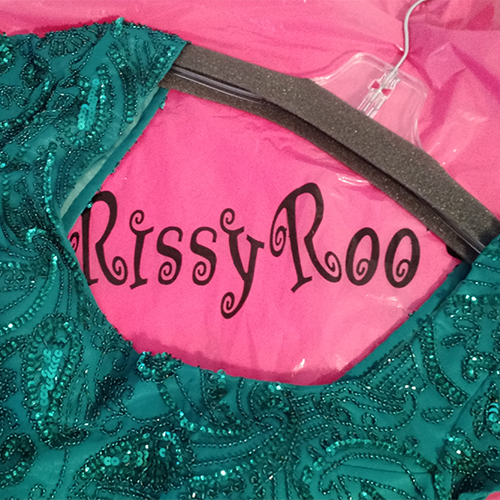 Thank you Rissy Roo for your great customer service and my beautiful Senior Prom dress. 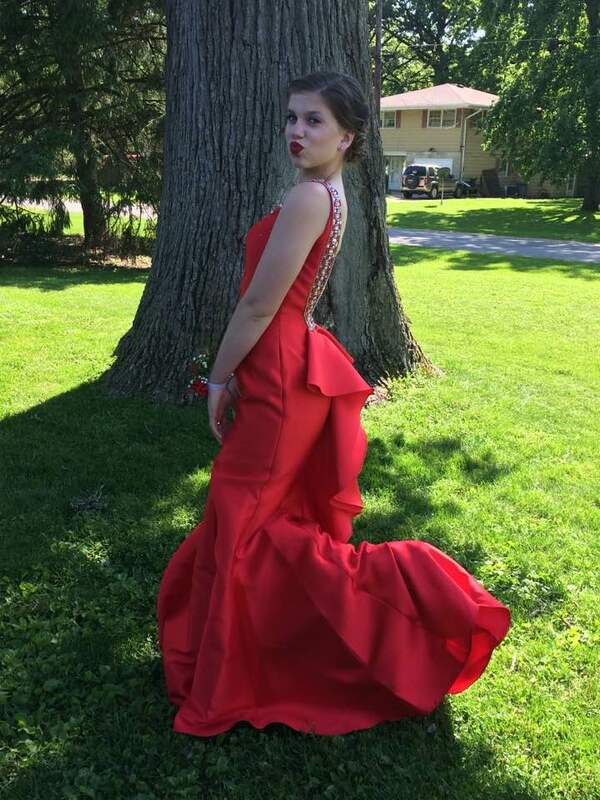 I purchased this red two-piece prom dress in March for my senior prom on May 6th. I have worn a Rissy Roo's dress for my past 3 formals. I could not have been more happy with my dress, I loved it!! Thank you ladies for helping me find a dress I loved yet again! We purchased this dress in May and got it delivered to our home within 4 days ! Everybody loved it ! 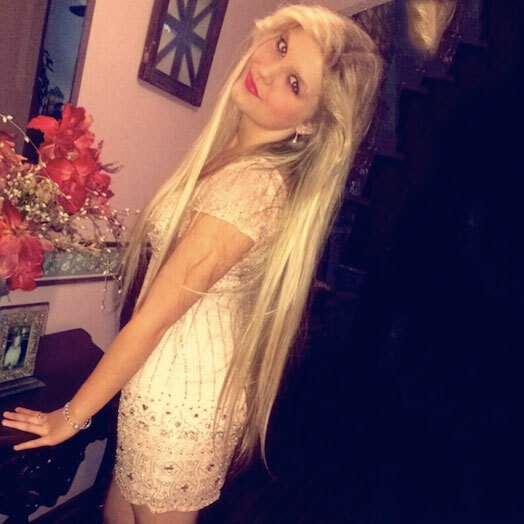 It was for my sweet sixteen party! 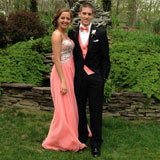 We purchased this Rachel Allan dress (7111) from Danielle in March for my Spring Formal on April 22nd. 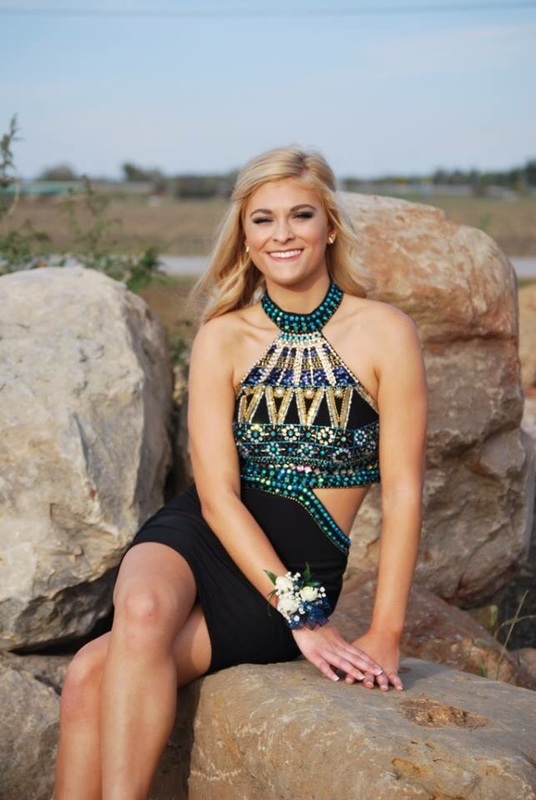 Rissy Roos was great to work with and we received the dress within 3 days of placing the order. Their customer service was fabulous. Thank you for helping to make my Senior Formal a great experience. 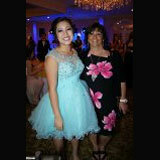 Loved, loved, loved my Sherri Hill (#4302) dress. I went to over a dozen stores in South Florida to find it in short notice for my Vegas Wedding, only Rissy Roo's in NJ had it. The ladies were super helpful and took my order over the phone and 2nd day air shipped it. The dress fit perfectly and was right in time for my wedding day. Thank you all so much! The wedding wouldn't have been the same without this dress. 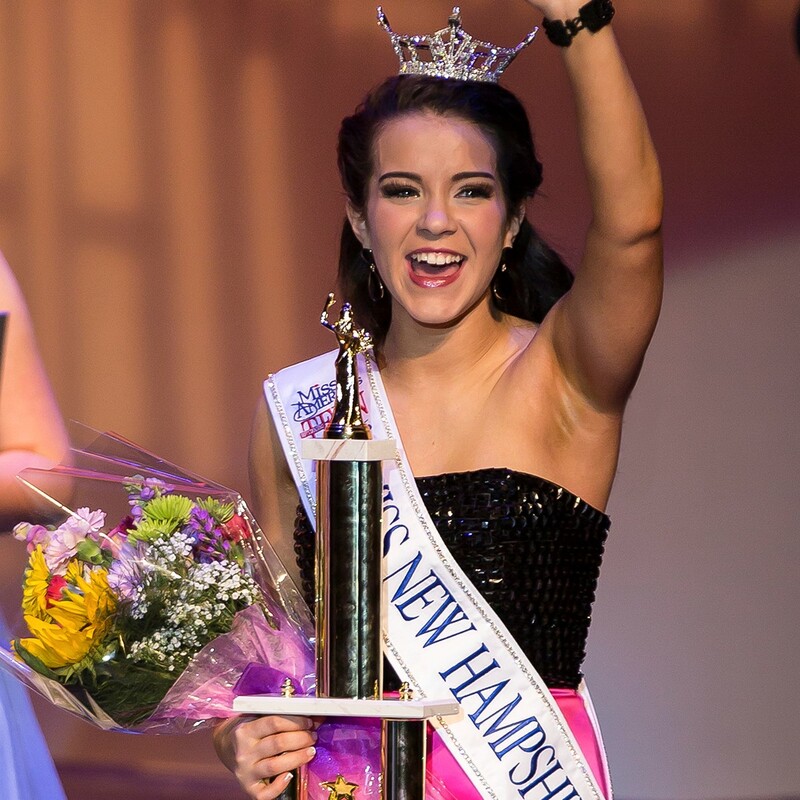 We just wanted to send some pictures and let you know that Teghan Gregson was crowned Miss New Hampshire’s Outstanding Teen 2016 in a gorgeous Sherri Hill gown that we bought from you on Miss America weekend! Thank you for the gorgeous gown that also won the preliminary award for evening wear and onstage question! And the perfect earrings to match! Her dress came in and fit perfect! Thank you! She placed third in her pageant! 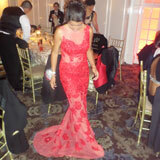 This was the perfect red dress for prom! The fit was perfect and the style was flattering to my daughters figure. The beading and stones on this dress really made a great show. 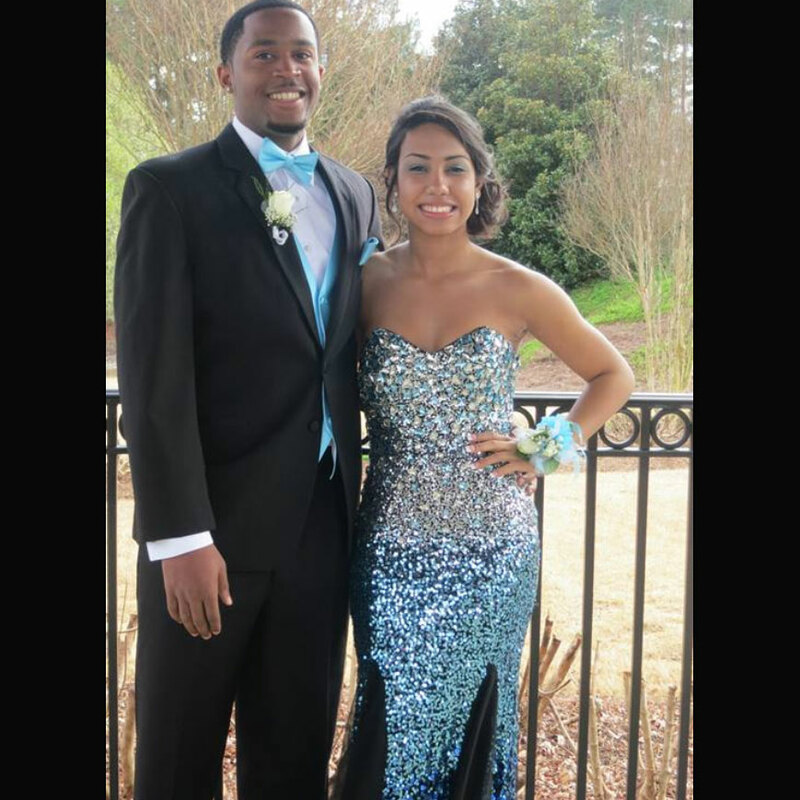 She definitely had one of the prettiest dresses at prom. I have ordered from rissy roos many times in the past and the staff is always really helpful. 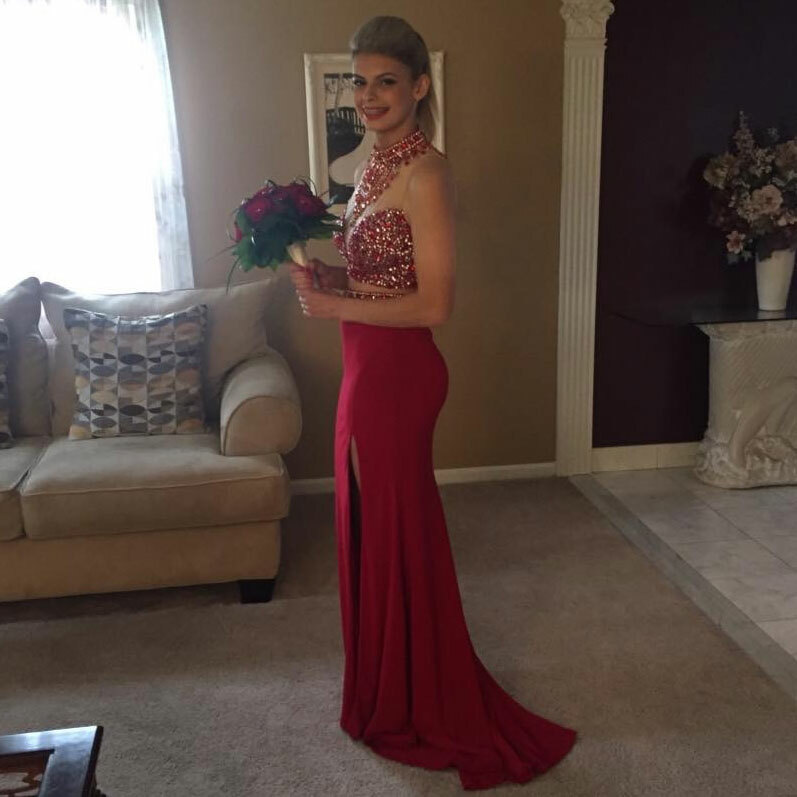 Thanks so much for helping to make my daughters junior prom great by helping us find the perfect red dress! 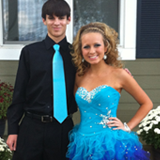 This alyce dress was perfect for homecoming. 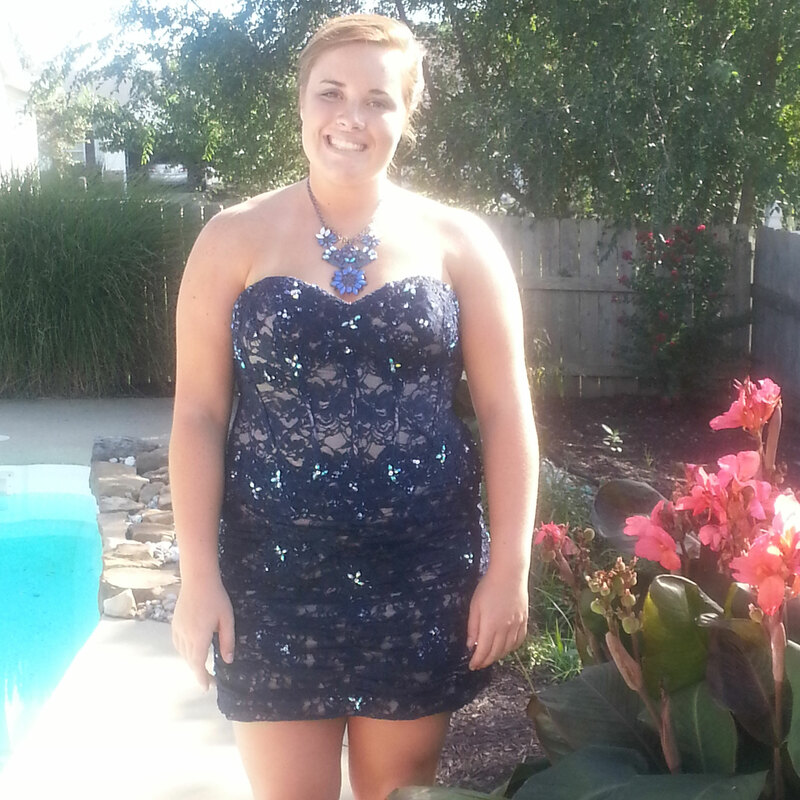 It fit true to size and was comfortable for a long night of football and the homecoming dance afterward. Many many compliments on this dress. the ruched jersey knit material made the dress very flattering on a more volumptuous figure. The staff at Rissy Roos, as always was very helpful. This dress was actually a suggestion from Joelle. 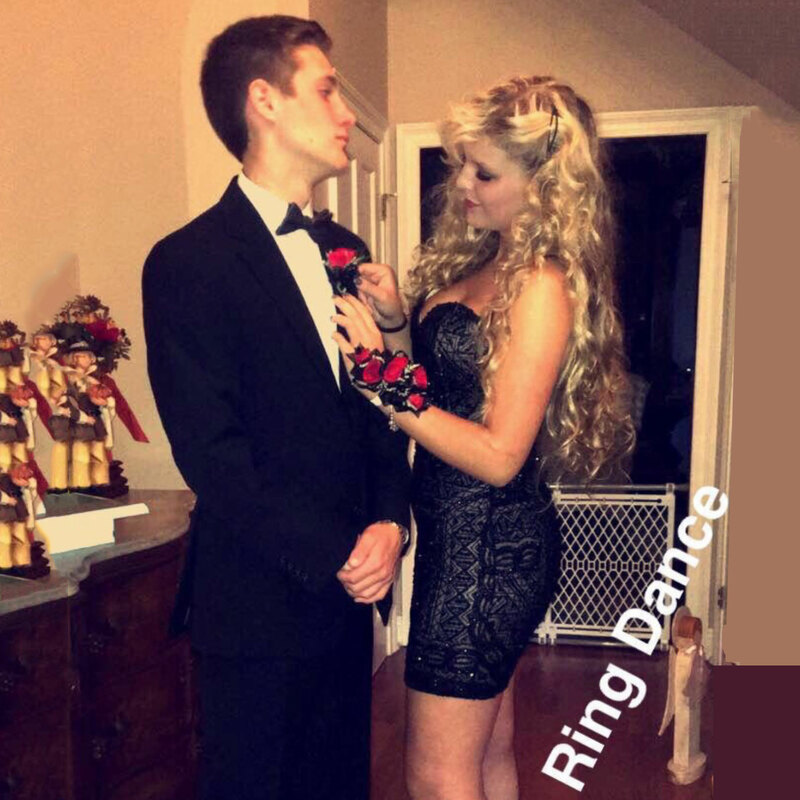 Thanks so much for helping to make my daughters senior homecoming more memorable. Rissy Roo's customer service is amazing! So friendly and helpful! I'm so glad that I ordered my dress from here; I will be again for prom! I absolutely loved this dress!! 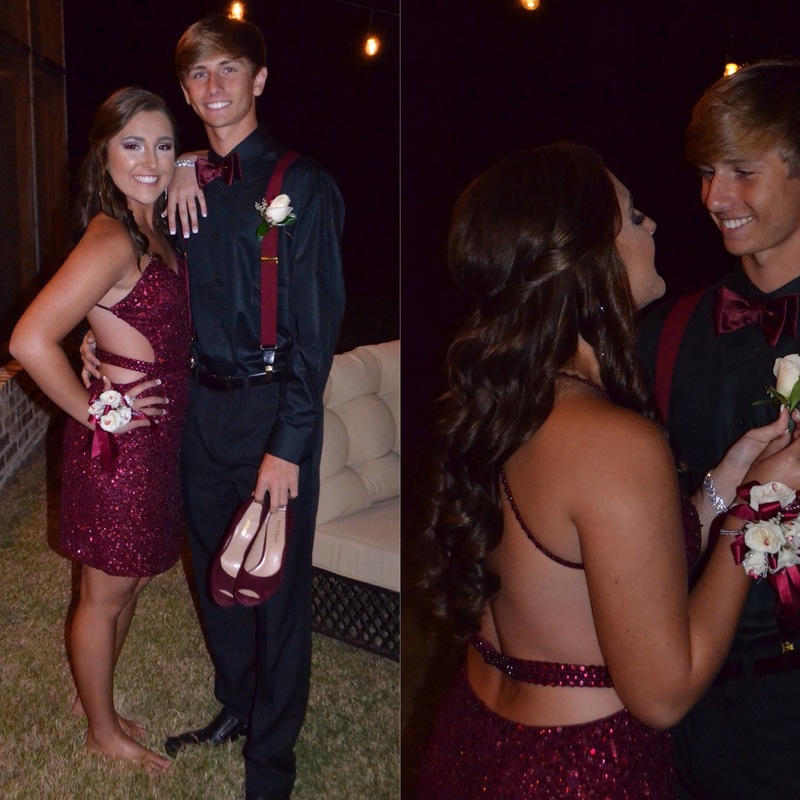 My Junior Homecoming was most definitely a success thanks to Rissy Roo's! I am the winner of Rissy Roo's most recent Pinterest giveaway! I chose this beautiful Scala dress. The dress shipped very quickly. I love the color and the intricate beading. 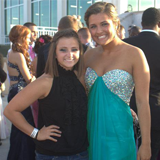 I will definitely be looking at Rissy Roo's again for prom! Thank you so much Rissy Roo's! 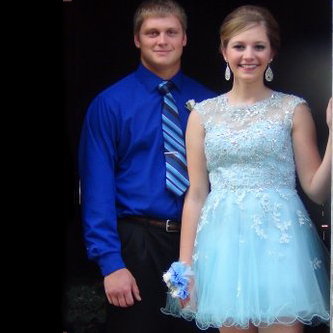 Erin was absolutely stunning in her Homecoming dress from Rissy Roos! Customer service was awesomeness, they helped insure a stress free experience! 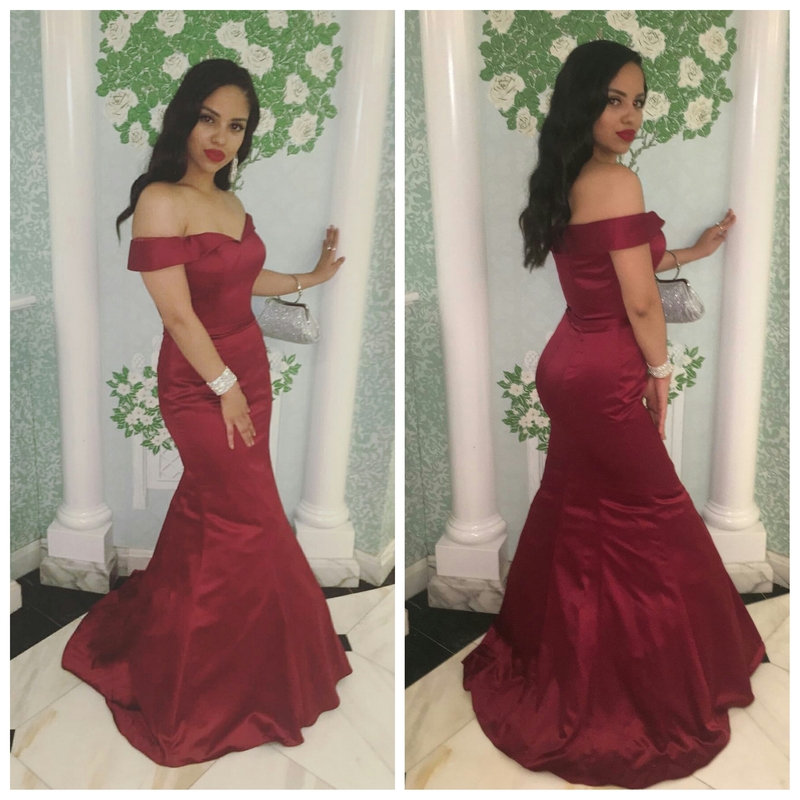 Winning Homecoming Queen added to the glamorous look! 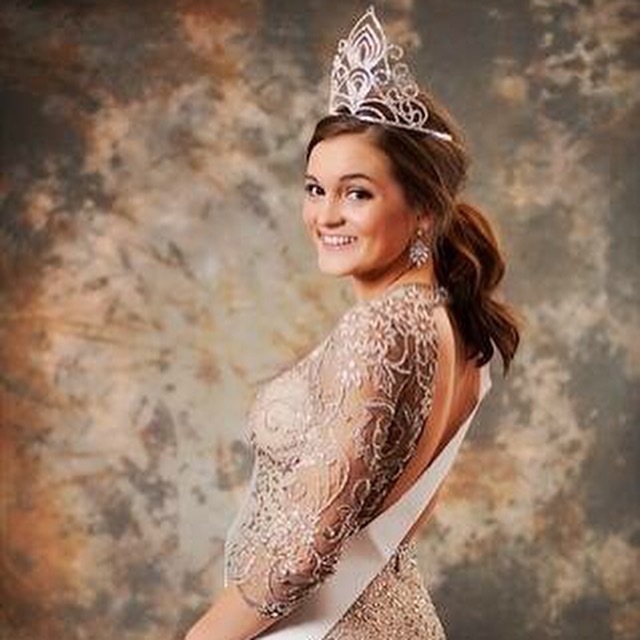 I absolutely felt like royalty walking around in this Rissy Roos dress! I love that they cater to all sizes, and most of all provide such an amazing selection of evening gowns! 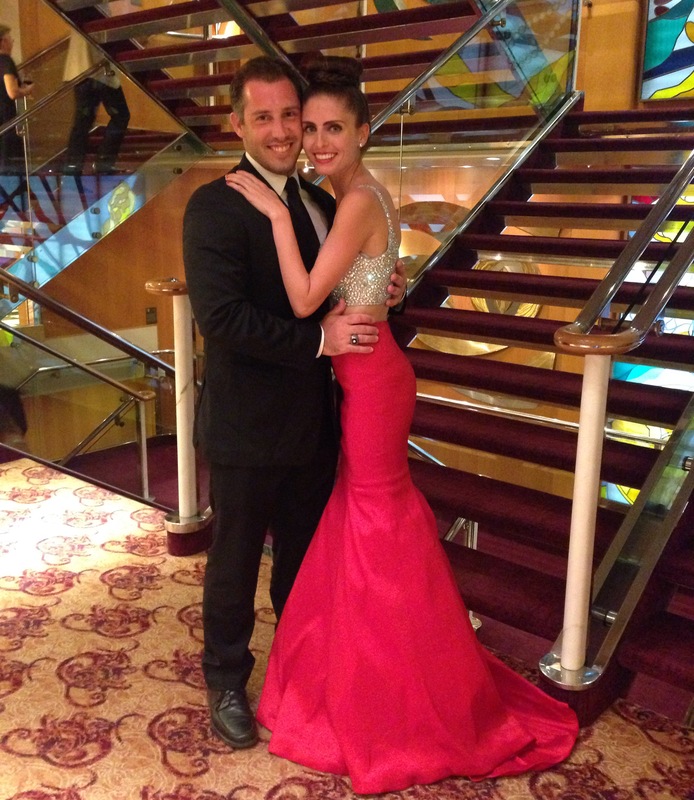 I wore this dress on a cruise, and everyone was coming up to me about how gorgeous this dress was! :) I love it! 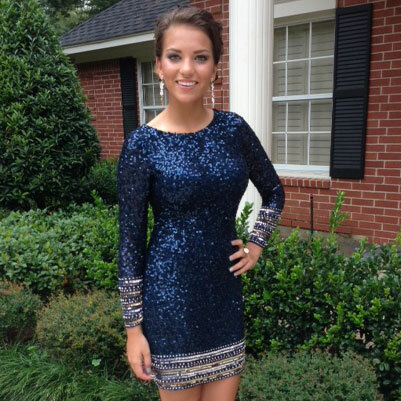 Love, love, love my homecoming dress from Rissy Roos! It was super easy to order and arrived on time and in great condition. Thank you! This dress was another successful Rissy Roo purchase. 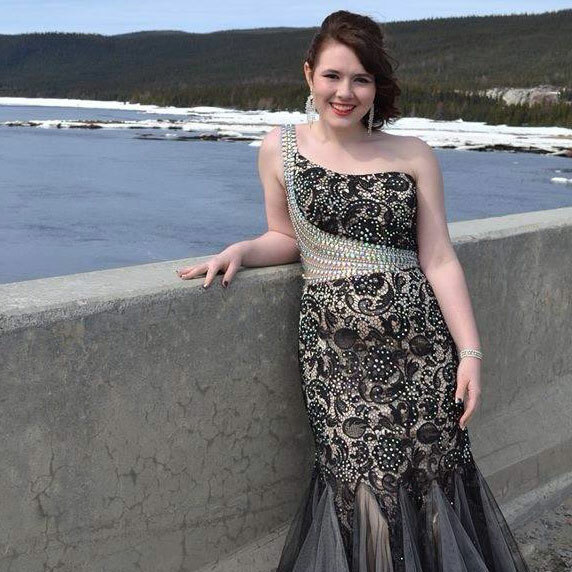 It was the most beautiful prom dress ever with its silver star swirling patterns. it was very comfortable to wear and the dress was true to size. Girls always ask me where I get my dresses and i tell them RISSY ROO'S! Rissy Roo will always be my choice for dresses for any occasion. This was my fourth dress from Rissy Roo. I wore it to a graduation ceremony and it was perfect. The color of this dress makes it a showstopper. Thanks Rissy Roo for making me stylish every time. 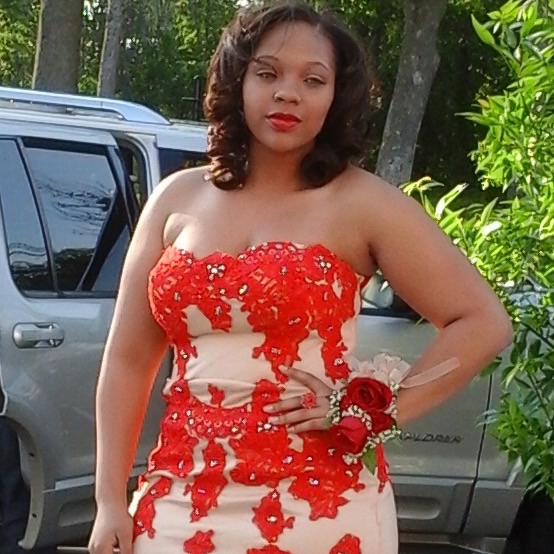 This dress was for my daughter for her senior prom. You made me proud and it was everything she imaged. I plugged Rissy Roo and UBXpress on facebook and recommended you highly! Thank you again for making me the best dad! 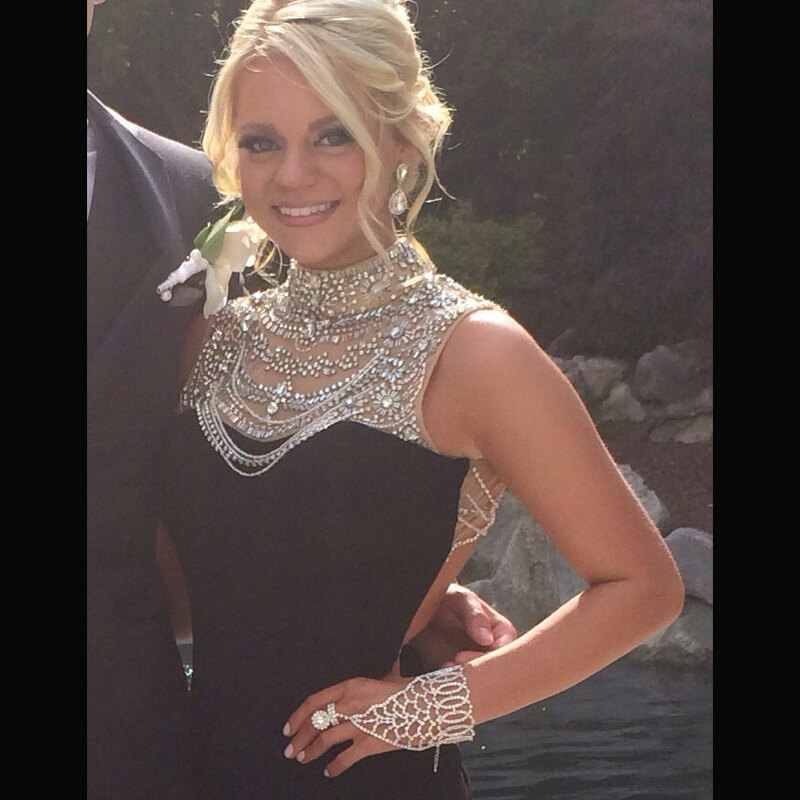 I can not thank Rissy Roo's enough for the fabulous dress I got for my senior prom! I received so many compliments on it and no one at my dance had the same dress! It was absolutely beautiful and fit perfectly! The delivery was flawless and I couldn't have asked for a better senior prom! From the moment I saw this dress I was in LOVE!!!! I was able to try it on at a local store and I instantly fell in love. It fit perfect and I received a TON of compliments on it. I didn't use the dress for a prom but for my wedding. My husband and I decided to renew our vows and I stumbled upon this dress. It was exactly what I was looking for in a dress and I was completely satisfied with it. I purchased this dress over the phone and the person I spoke with over the phone was a great help in assisting me with ordering the dress in the right size. It gave me the stunning classic look I was going for. The detail on the dress was amazing along with all of the vibrant colors on the top half of the dress. It provided tons of support and was extremely breathable. I couldn’t thank you enough for helping me purchase such an amazing dress. Absolutely loved my dress! Got so many compliments will definitely recommend Rissy Roo's to my friends who have prom next year! After having going to 3 stores and calling 9, I found the dress of my dreams all thanks to Rissy Roo's! 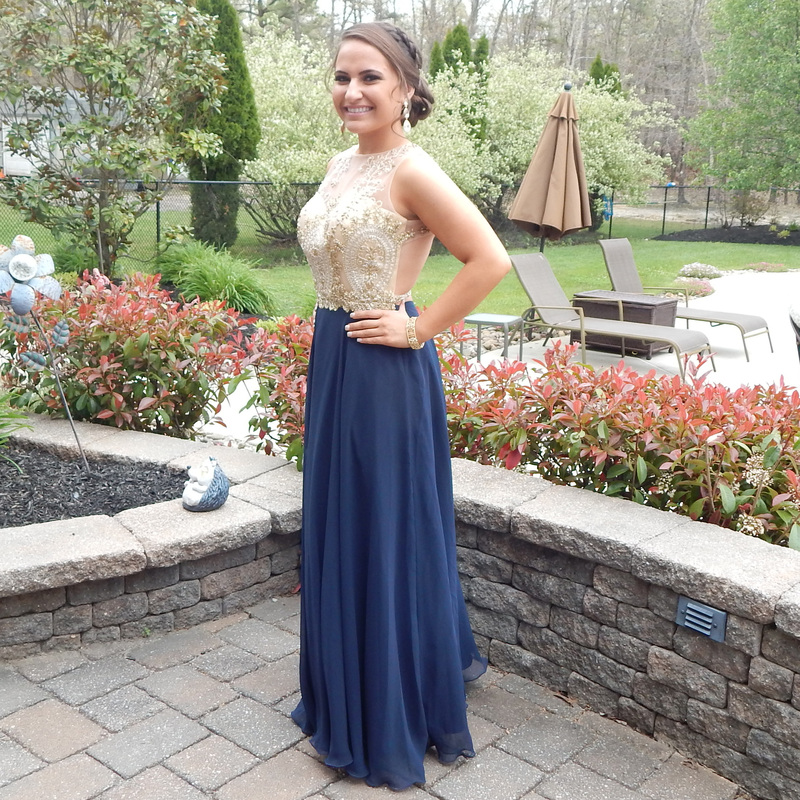 Thank you so much for providing me with this beautiful Sherri Hill dress, I love it!! 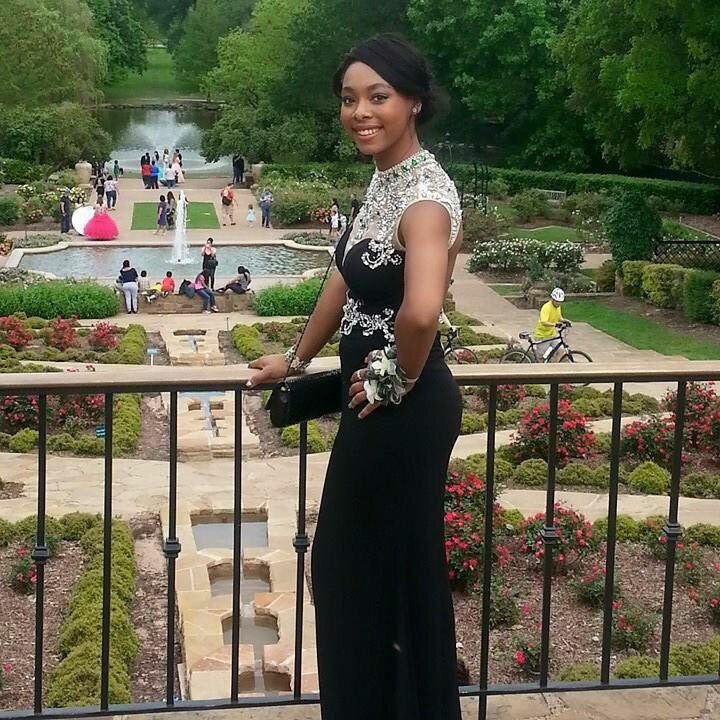 N'Kia was stunning in her Jovani 91084 prom dress for the Charter Tech Prom 2015! Loved my prom dress so much, got a lot of compliments on it too! great customer service! 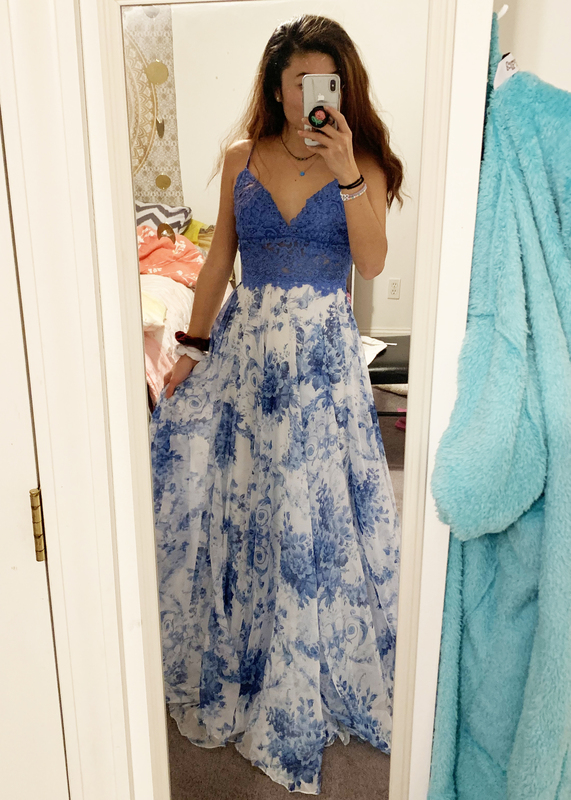 I just wanted to say thank you so much for my amazing and unique prom dress I got endless amounts of compliments on it and I can not be more appreciative I am so glad I found this website it was so last minute for me getting my dress and I was definitely stressing a lot and then I found this website with this exact dress I wanted (a lot of places did not have the color I wanted) and I ordered it and it came in amazing timing it made my prom experience that much more amazing. THANK YOU!!! I wanted to write to let you guys know that I was very happy with your service and how professional it was. I would recommend your website to anyone looking for a special occasion dress. Not only did you ship my dress extremely fast to make sure it got to me in time for my prom but the dress was everything I imagined it would be! Thank you so much and I will definitely be a future customer and tell all my friends about how great your service is. Hello, My name is Izzy. 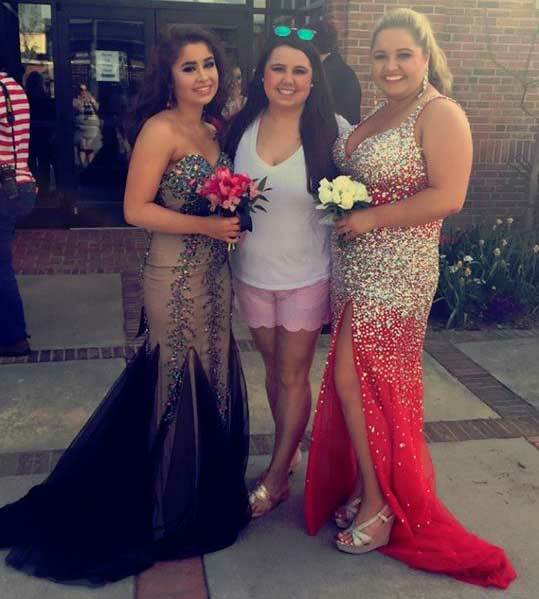 I wanted to take the opportunity to send a very special thank you to the staff at Rissy Roo's especially to the extremely nice woman who has been with the shop the longest to fit me into the most perfect prom dress. I am sorry I don't recall her first name but she treated me with such kindness and made me feel so extra special as a princess knowing this was my first freshman high school prom experience. I would appreciate if you could Please share the attached photos with her. I had a wonderful night and loved my dress so I will definitely be back next year for my next dress. Thank you again for everything. I love this dress so much. 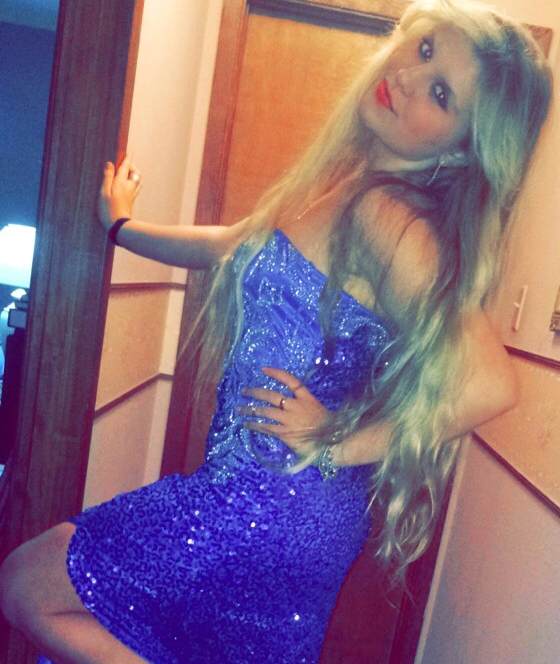 I went to Prom just so I could wear this dress. Thank you for the great customer service. i just bought my second Rissy Roo dress only 7 weeks after the purchase of my first one. I am a repeat customer because of the excellent quality and styling of the dresses and the impeccable support of the Rissy Roo sales staff. Thanks Rissy Roo!!! 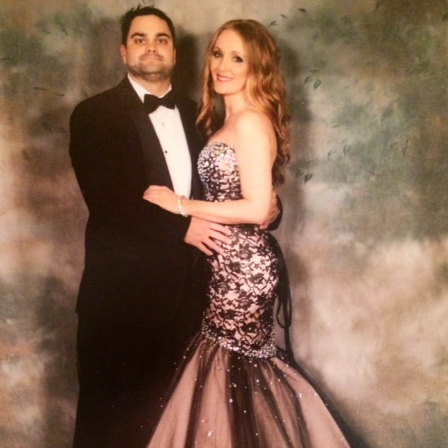 I received numerous compliments on my dress at the Krewe of Orion Mardi Gras ball in Baton Rouge, LA. Thank you so much for getting this fabulous dress to me on time. 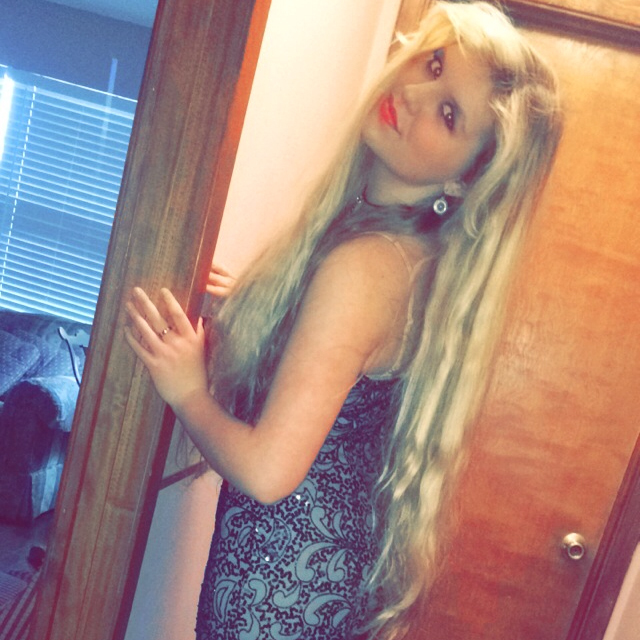 I absolutely loved my dress for homecoming this year!! Fit great and was beautiful!! I will definitely be buying from Rissy Roo's again soon! Wonderful service! The dress is simply stunning. It is so well-made and elegant. The pictures don't do it justice. Thanks to Rissy Roo's for such great customer service and shipping. it is my first Rissy Roo dress but definitely not my last one. 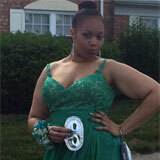 We can not thank RissyRoos enough for all your help with finding my daughter's dream prom dress! 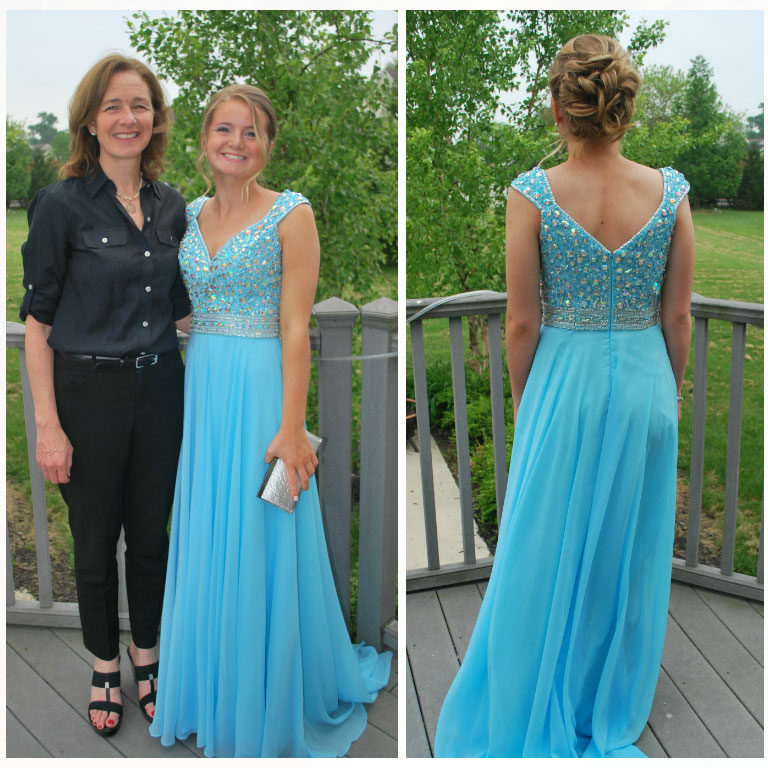 She wanted to feel like Cinderella & this beautiful dress by Alyce Paris certainly made her feel like a princess. Everyone was so helpful from the time we entered the store until we left. 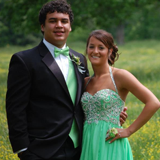 We will be coming in soon for Prom 2015! 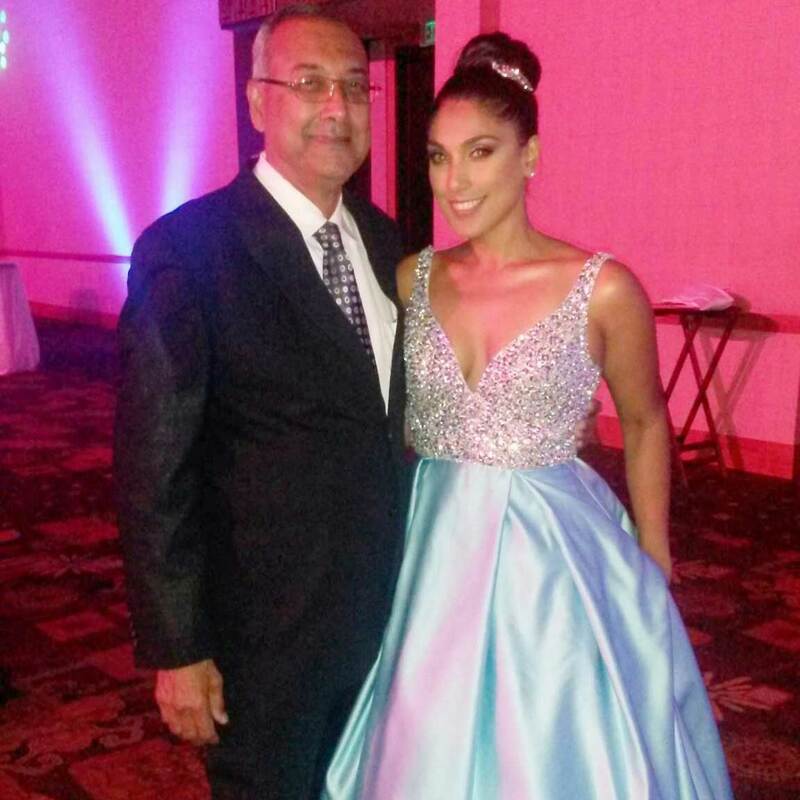 Thank you Rissy Roo's .. the dress came out perfect for my daughter's Quinceneara. 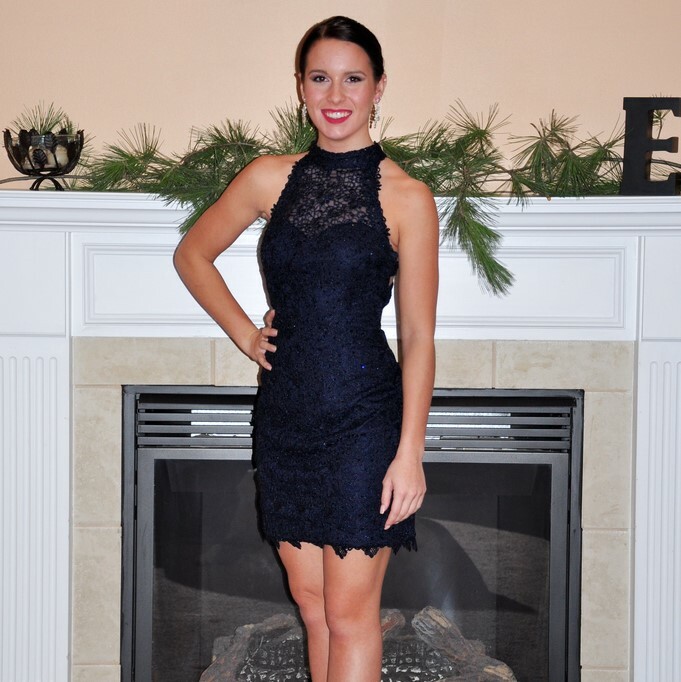 Loved my Primavera homecoming dress from Rissy Roo's! This website is so easy to use and 100% reliable. I will be ordering more formal dresses in the near future from you guys!!!! Thank you Rissy Roo's for the amazing Faviana dress, I got so many compliments! Thank you so much!! I have purchased dresses from Rissy Roo's for my daughter for the past 4 years and everyone cannot wait to she what she is going to "Rock"!! Whether it is a Tony Bowls or Alyce, it will always be a stunner! We have got a dress from you and my daughter was the most beautiful girl in the whole school . Thank you !!!!!! This dress was exactly like the dress I expected!! I was nervous ordering without trying on, but everything turn out perfect! Shipped and received on the day we were told by customer service! 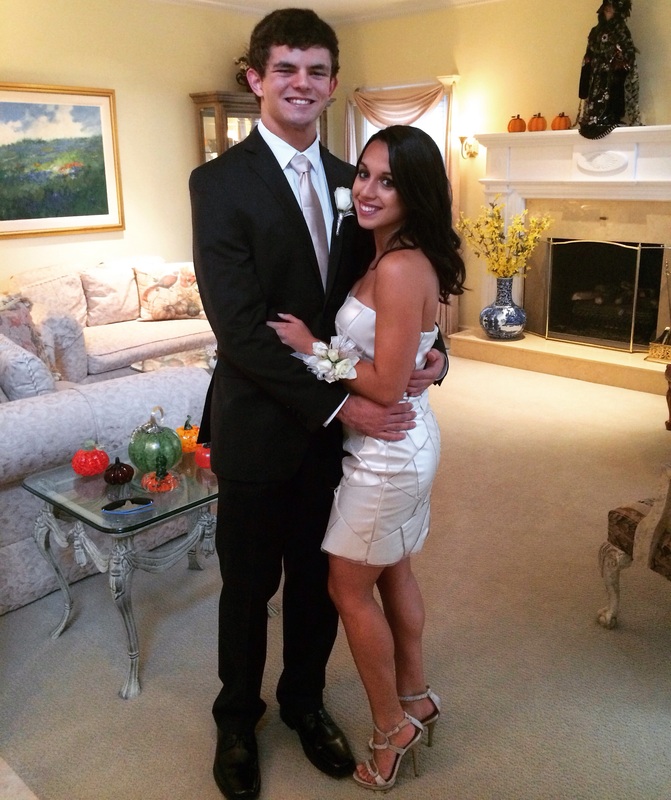 I wore this gorgeous Sherri Hill dress for Homecoming and received so many compliments. The color is just like pictured online, sizing is perfect (used the Sherri Hill sizing chart). The dress arrived only 3 days after placing the order. Thank you Rissy Roo's! My daughter and I went to Rissy Roo's to purchase our dresses for her new album release celebration and we were absolutely blown away by the warmth and excellent service provided by the staff. The atomosphere was light and inviting. Our entire shopping experience was filled with happiness and candid laughter as the ladies effortlessy ensured that we got everything that needed. Even if we were tempted to have a "change of heart", the service and hospitality was so sincere and compelling; instantly we knew that we were in the right place at the right time, with the right people; ultimately we left with the "right dresses" for this very special occasion. In our jaw-dropping and elegant dresses, we made our way to the album launch and oh my goodness we were drenched with compliments! The dresses made a statement of class, opulence and success. These unique dresses also enhanced our skin tones as well as our curves...(smile)...We are eternally grateful to Rissy Roo's for providing these beautiful dresses for us and for topping it all off with such memorable and excellent service from the staff. Thanks! Thanks! Thanks! You guys are the BEST!!!!! God bless you all. Norah Harper. 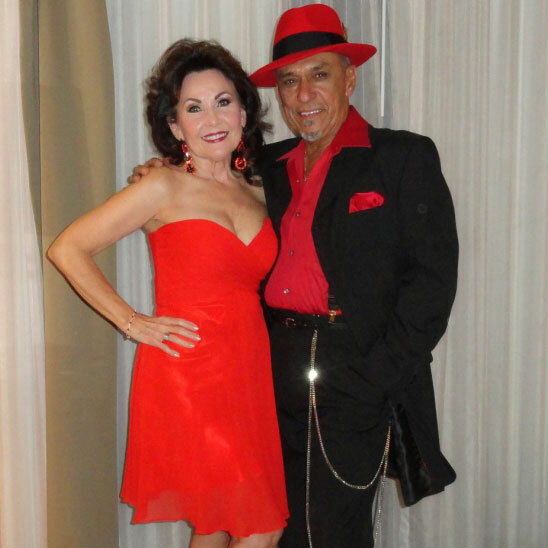 Thank you Rissy Roo's for the beautiful Bari Jay coral dress. Thank you Marissa for all of your help, you rock! Rissy Roo's helped me out tremendously! I really wanted to have this gown for my Senior Ball and I had tried it on a a local store and it was sold. I called Rissy Roo's and left a message (while they were closed) asking if they had the gown! Within one hour I received a phone call on return that they had the gown! They got it shipped to me within five days! Within those days it was snowing so badly and they still managed to send it out to me efficiently! Without them I would have never been able to wear my dream dress to my last prom! 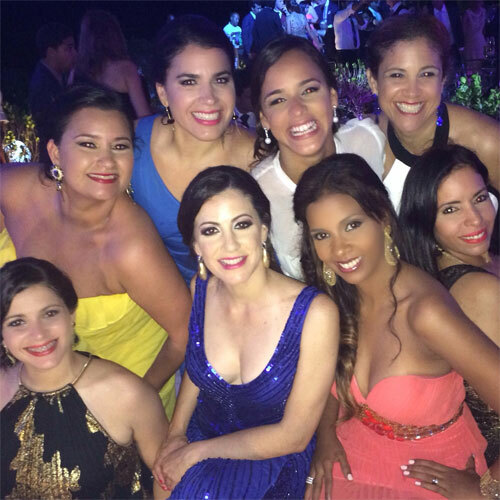 They made me feel like a true princess! I had purchased my homecoming dress from Rissy Roo's and as soon as it came in, I started shopping for my prom dress. I found this one and fell in love immediately. It was the color I wanted, black, and it had the perfect amount of sparkle on it. When we arrived at the prom everyone was telling me how much they loved my dress. The one thing I love about getting my dresses here is that no one else ever has the same dress as me. 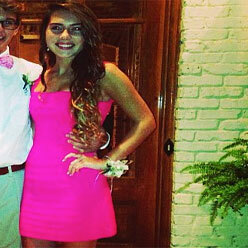 I always feel like I have the best dress at the dance. I will be purchasing my next homecoming and prom dresses from here for sure. My dress is amazing! At first I thought no dress could top my sophomore dress but this one definitely did the job. I got so many compliments. Thank you Rissy Roo!! Since I saw this dress I knew it was the one I was going to wear. I first saw it on Rissy Roos! I kept on searching for more since it was a bit pricey but I could not get the dress off my mind. Finally I bought it and loved everything about it! 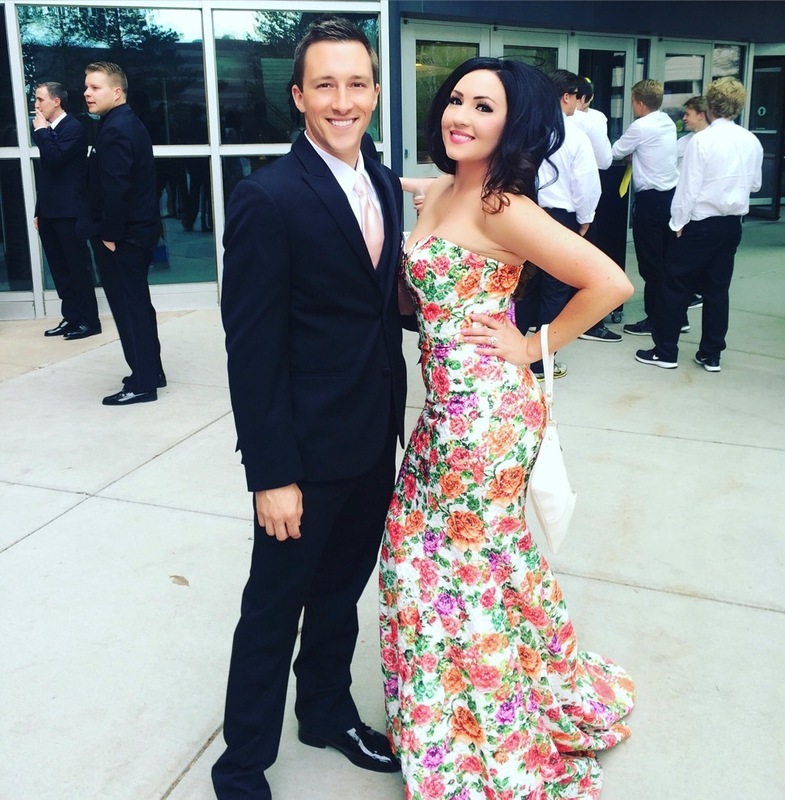 I just want to share my gratitude and thanks to Rissy Roo for my absolutely gorgeous dress that I wore for my boy friends senior prom. I recieved more comments than I could ever imagine. 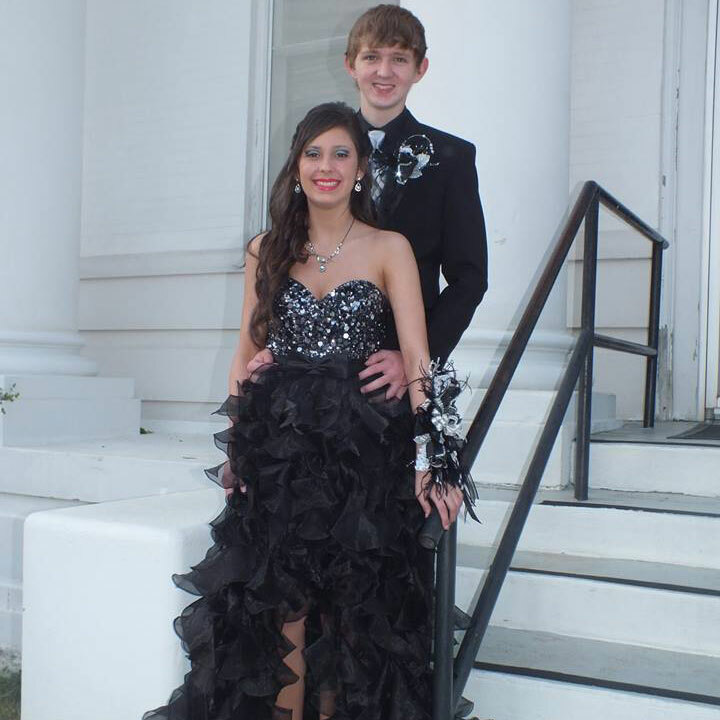 I will definitely be shopping there again for my senior prom dress . Thank you for a lovely dress that was perfect for me and made me feel like I was a princess in a fairy tale. 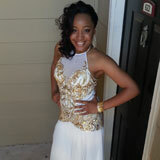 "Kassandra"
I have bought my dresses for prom the past three years from here and every year they get better. 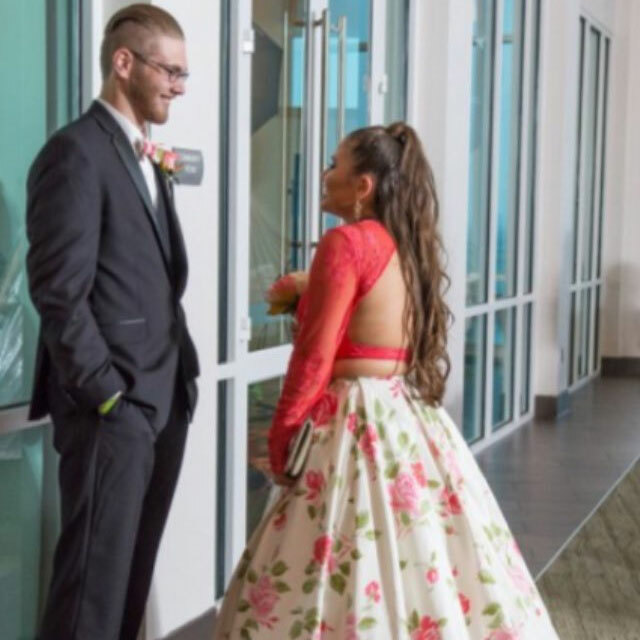 I was in love with my dress and it made my senior prom perfect. 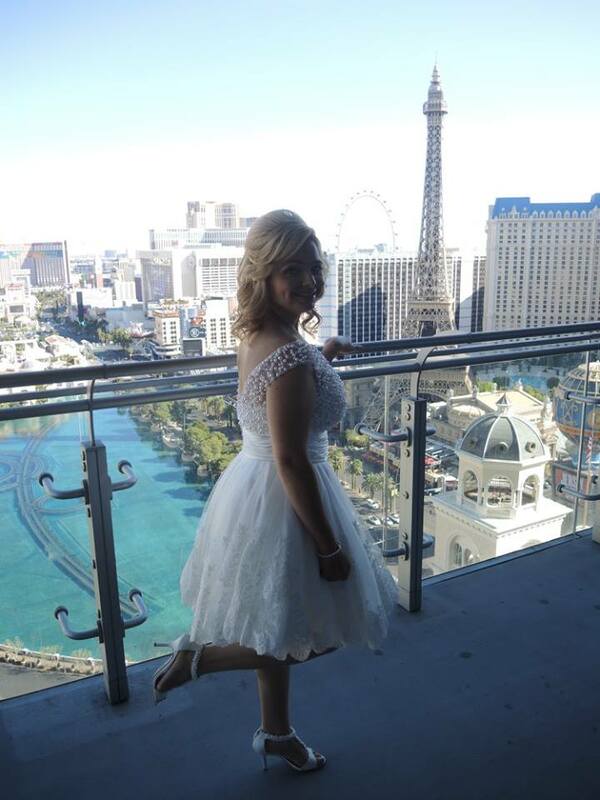 I loved my dress so much. 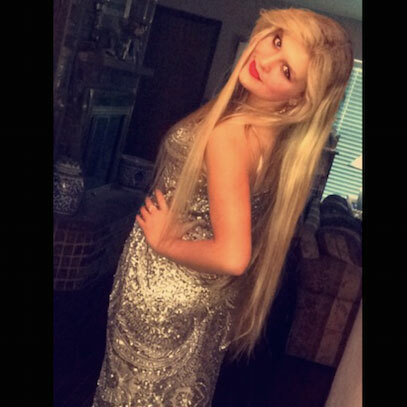 I had so many complements and this was just my junior prom. I cant wait to get my dress from here next year. Thank you so much. 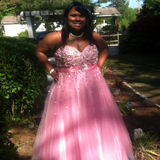 I loved my dress! Actually, this was my second dress. There was a mix-up at the store, and everyone there was quick to help correct the problem, and in the end, I got the dress I wanted and felt amazing! I'll be back shopping next year! I am having such a good year being named valedictorian of the graduating class! Then i find the perfect dress for the dinner dance! I had a blast receiving so many compliments from friends, teachers and other parents! What a perfect dress for a perfect evening and perfect school year! 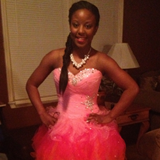 My dress was amazing. My Sherri Hill dress fit perfectly and I felt beautiful in it. I received compliments about my dress for days after the prom. Thank you Rissy Roos for helping to make my night special. This year I attended two senior proms in one night. I wanted a dress that flattered my body style but was comfortable to wear all night long. The dress I found on Rissy Roo's was PERFECT. I felt and looked amazing and I got so many compliments. Thank you Rissy Roo's for making my last two proms PERFECT!!!!! I love my dress so much~ I wore it out for a test drive to my best friend's mom's wedding and everyone loved the dress~ It fit perfectly! And I can't wait to wear it to prom. Thank you Rissy Roo's and Gurl.com for my dress. It is beautiful and I felt just like a princess! 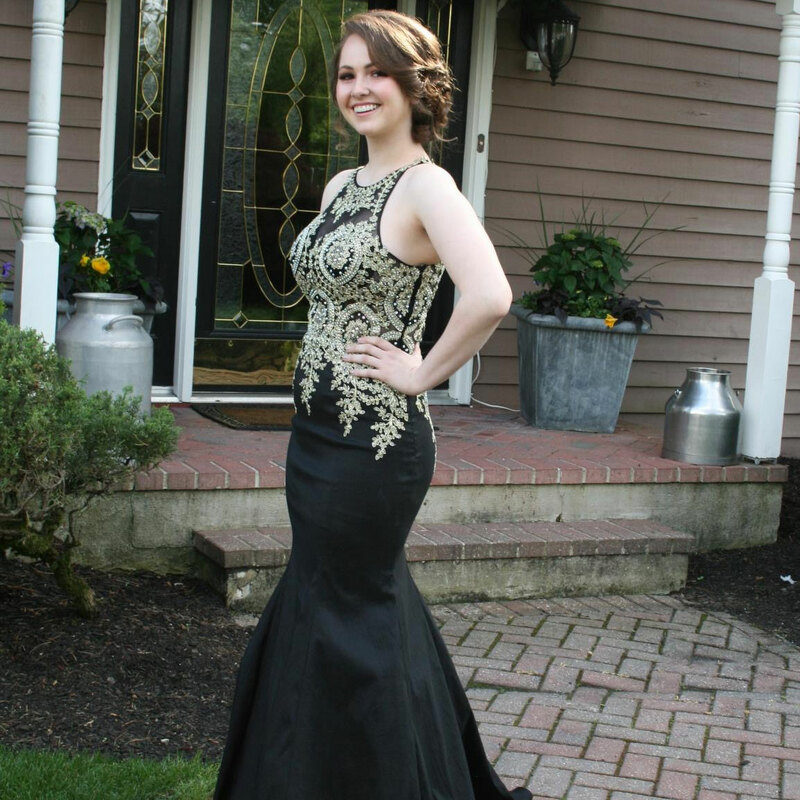 Wanted to share a picture of my daughter(Morgan Currier) from her Junior Prom. 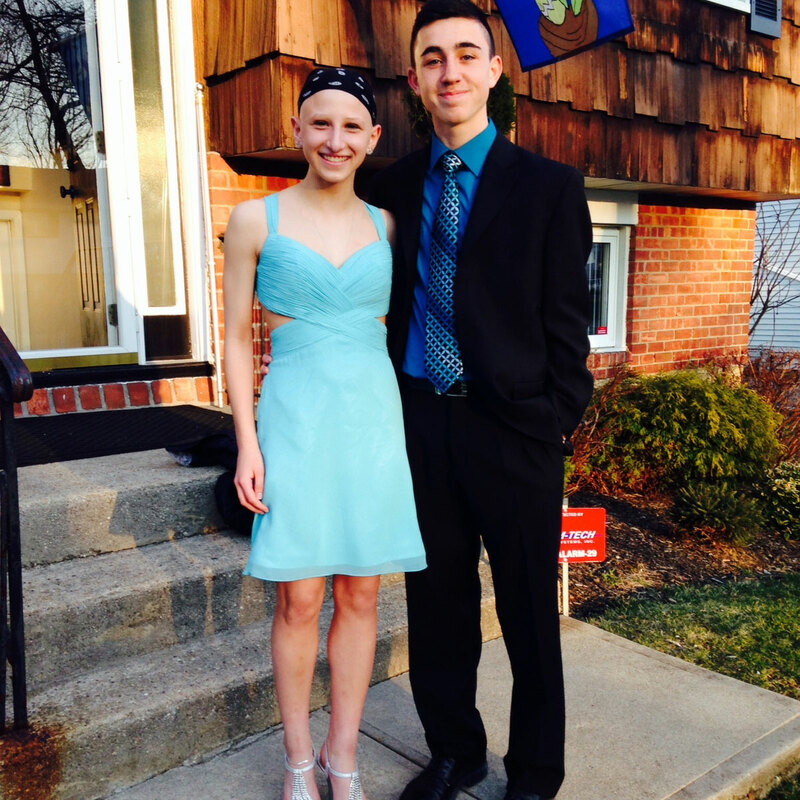 She looked beautiful & LOVED her dress & recieved endless compliments. Thank You Rissi Roo's, we will definitely be back next yr.! 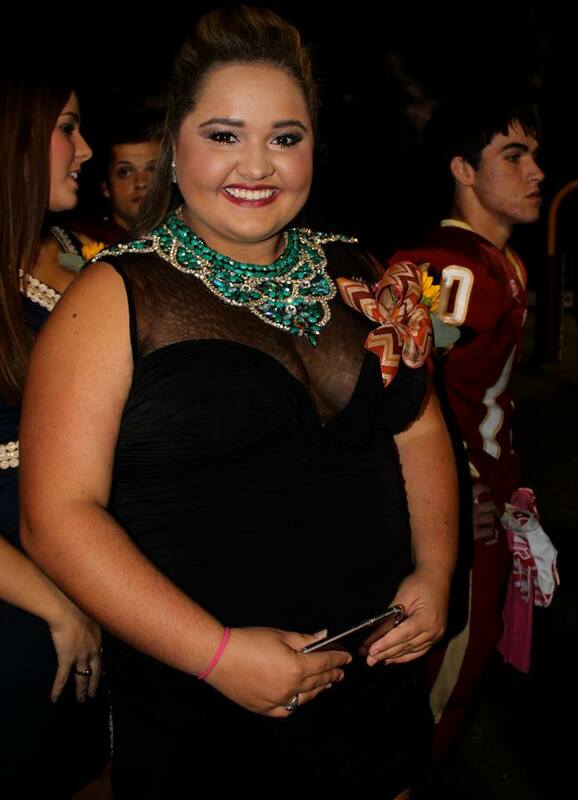 I absolutely loved my dress. I felt like a princess, would have not been possible without this beautiful dress. Thank you! 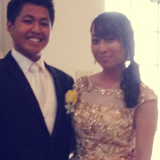 I REALLY LOVED THE DRESS, I FELT LIKE A PRINCESS. Just want to give a huge thank you to the Staff of Rissy Roo. 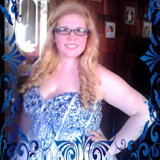 Over the years I have got an 8th grade dance dress, a freshman semi-formal dress and two prom dresses. I have no idea what I would have done without their help! Received endless compliments at my senior prom! Big THANK YOU to Rissy Roo's for making it possible! Loved my dress I ordered from rissyroos.com, fast shipping and wonderful customer service. Definitely ordering from this website for next years prom dress! I just wanted to take a few minutes to say a great big “Thank You” for the help and support you have provided to me and my daughter to prepare for her prom. It was stressful and I apologize profusely for making your days difficult. In the end, she looked absolutely stunning. The dress was phenomenal. Thanks Again, and Best Wishes. This Sherri Hill dress was a perfect fit and the color was extremely vibrant. Not to mention the customer service was impeccable, thank you Rissy Roo for making my prom an unforgettable experience. P.s We won Prom King and Queen ! Thank you for the most BEAUTIFUL dress I could've ever imagine! 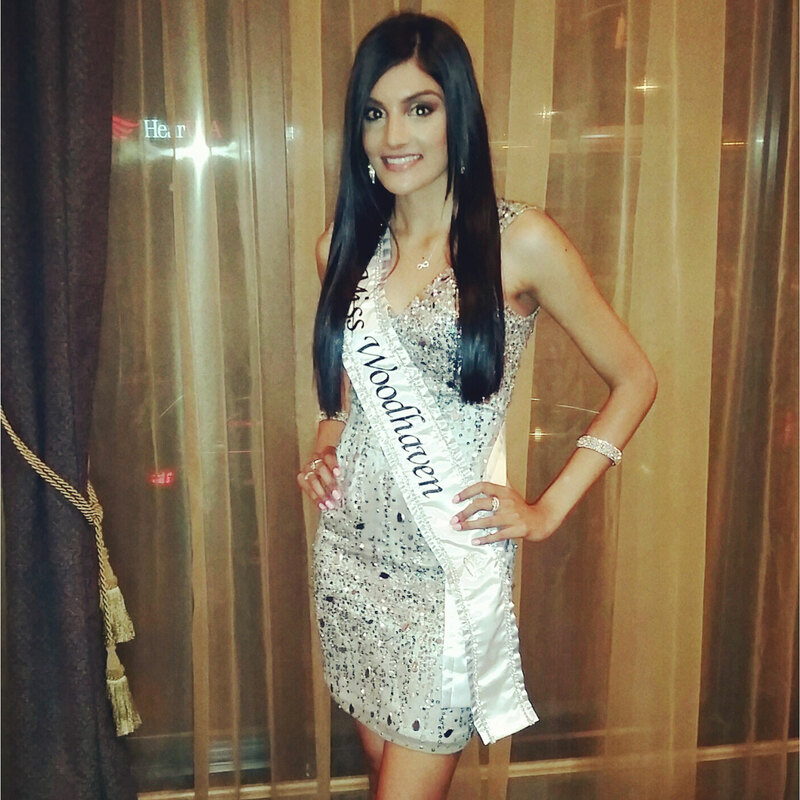 @Mac_Duggal The dress made the farewell even more special .. An evening that I would never forget. Last year my mother ordered the dress from South-Africa & we just wanted to share the photo's with you. Thank you SO much.. Thank you Rissy Roo's! Because of you I looked amazing at my Birthday celebration in Walt Disney World! Hi Rissy Roos- Just wanted to thank you for the beautiful dress. We looked in Chattanooga, TN. and drove to Atlanta, GA. looking for a dress and could not find one. I searched on your website and found the perfect one! 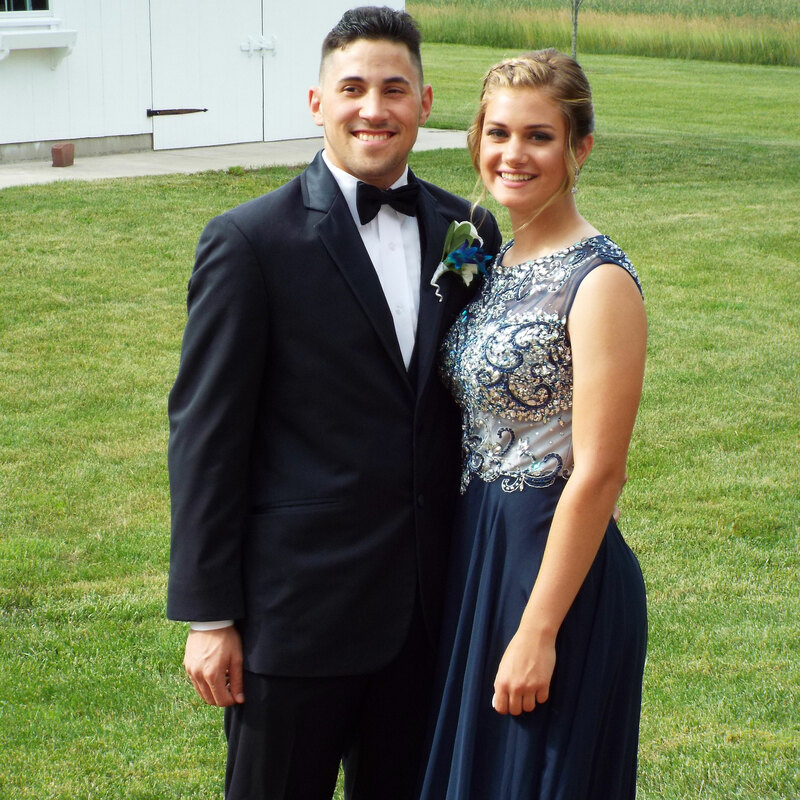 This is my daughter Halle and her boyfriend Caleb, Prom Ready! Thanks Again! Rissy Roo's- I had originally ordered this dress from a different company that had guaranteed shipment by a specific date. About a week before the wear by date they informed me that they could not fill the order! I was scrambling-trying to locate the dress that my daughter wanted in time. By chance I called your company and you had the dress in stock! I talked to a man named Michael. He was so helpful. He grabbed the dress off the sales floor, set up and account for me, and got everything in order to ship the dress while we were on the phone. What great service! The dress was a perfect fit. The dress was so unique people are still talking about it. 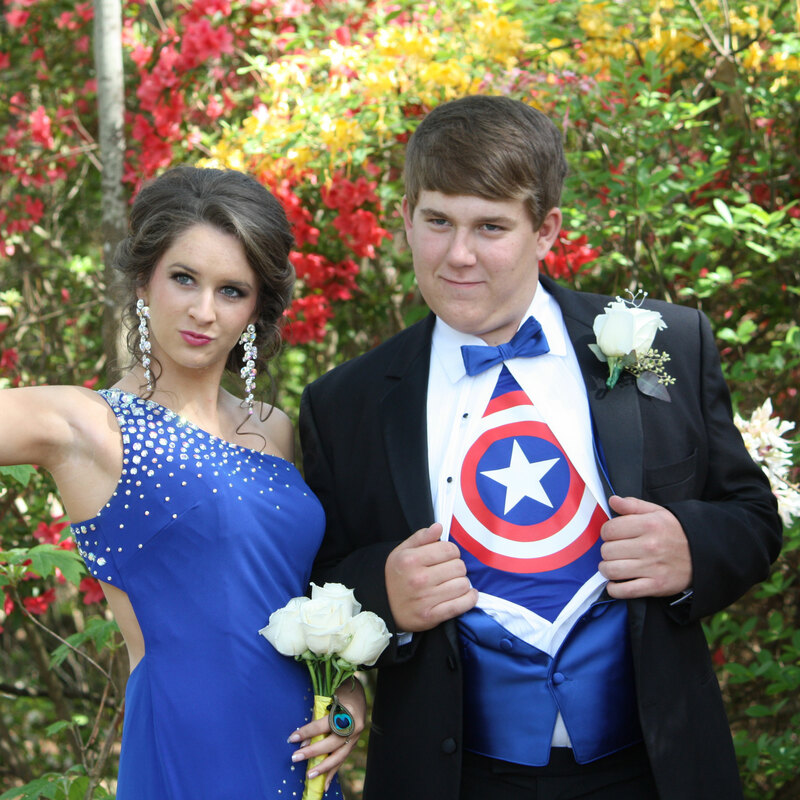 It was a great Prom! Thanks for the great service and thanks to Michael for being so helpful. 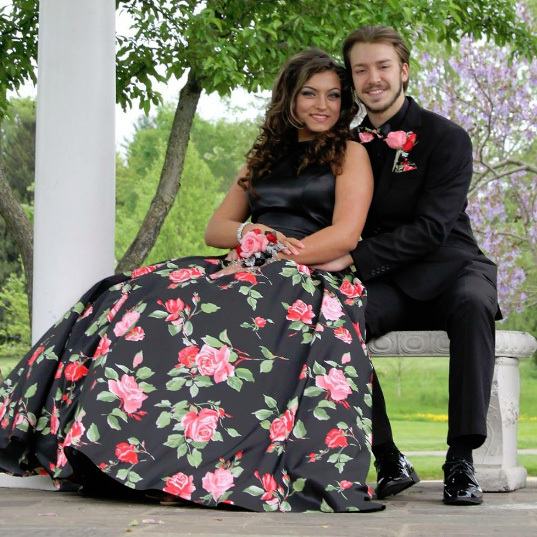 Just wanted to share a prom pic of my daughter with the dress we ordered from your store. She loved it and received so many compliments. 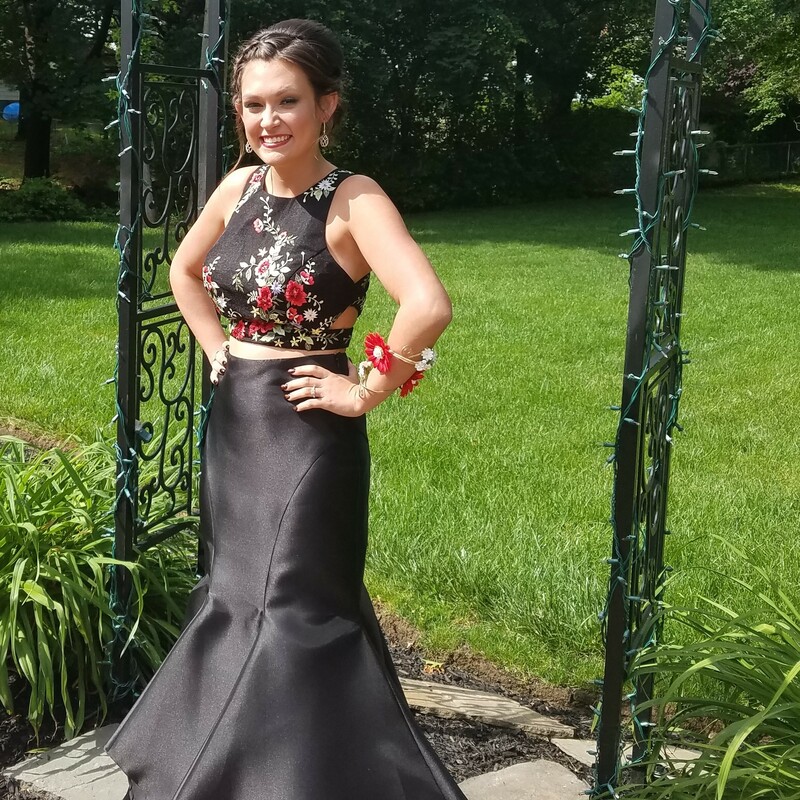 My daughter looked so beautiful at her senior prom- not only was her dress awesome but it was truly unique!!! Thanks Rissy Roo's! Thank you Rissy Roo's so much for the beautiful dress!!! 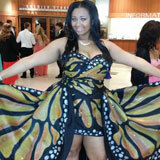 This dress accomplished its goal by making me feel like a princess the entire prom night!!! 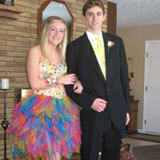 Thank you Rissy Roo's so much for Devin's beautiful prom dress. I tried 2 vendors before you and both failed to come through. 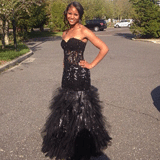 Lovely dress for her Masquerade prom. Thank you for the dress, I loved it so much. I know if I need anymore I'll make sure to order from Rissy Roo's. 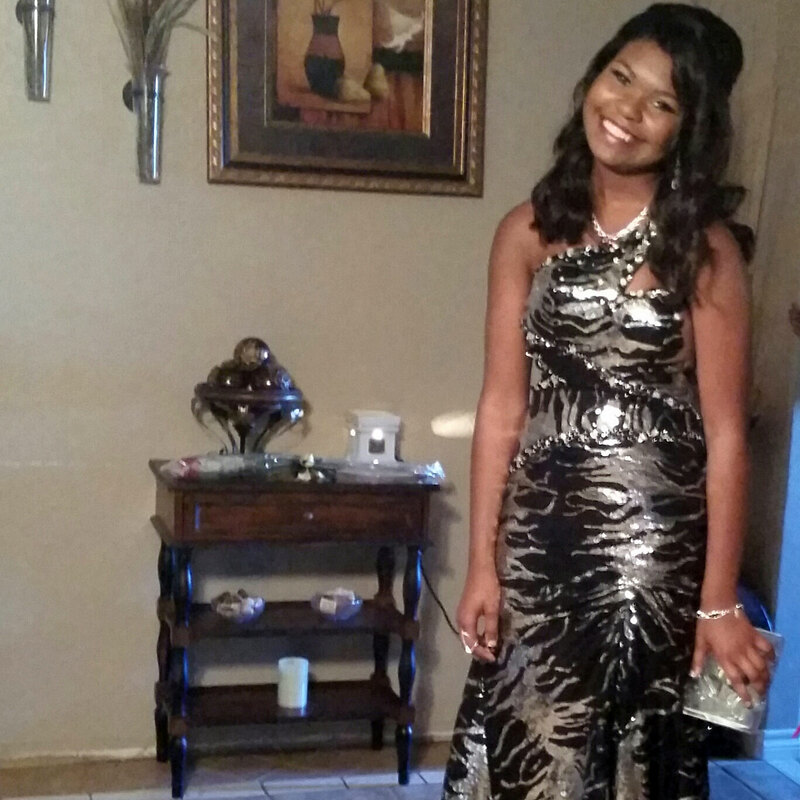 Sending you this picture of my granddaughter with the beautiful dress you provided. We are very pleased with it. Wanted to share my daughter's prom picture from her senior year from Rissy Roo's!! She looked amazing in it! 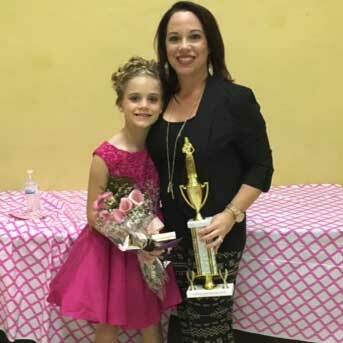 Her name is Giana Raymond- thank you Rissy Roo's for always carrying great dresses and accessories for young girls in this area. 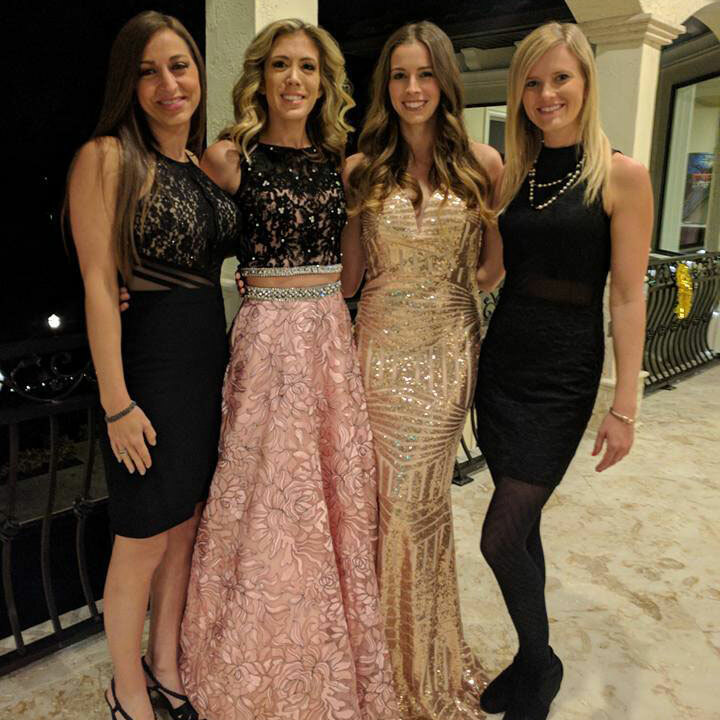 Me (far right) and my sister (far left) love your store and go there for every occasion... Just wanted to share how gorgeous your dresses are! I want to thank the girls of Rissy Roo's in Linwood for helping me find the perfect dress! After trying on countless dresses, the honest employees helped to narrow down my choices and choose a lovely orange gown right off the rack! The dress fits perfectly and held up so well! I have competed wearing my Rissy Roo's gown in five Miss New Jersey preliminary locals, steamed the dress countless times, and has been to the seamstress twice for length yet the dress looks good as new! Thank you so much for offering a large selection of dresses and helpful employees to make my decision an easy one! 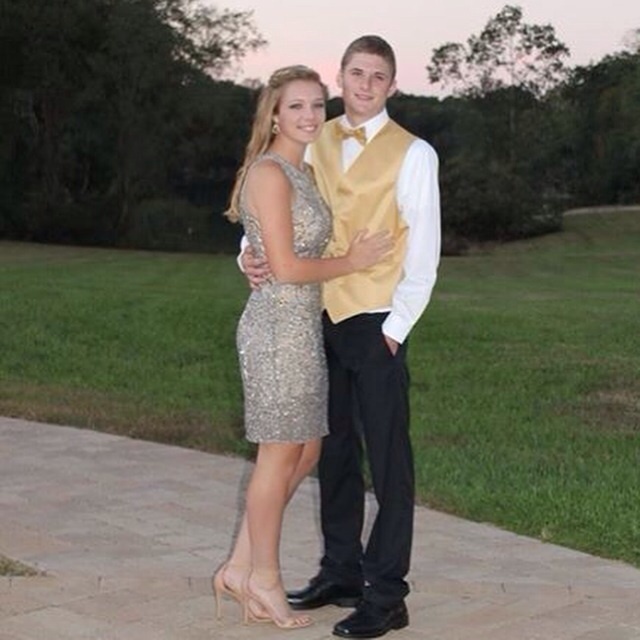 Thanks for making my daughter's Freshman Homecoming even more special than it was. The dress was perfect and so was the service we received.